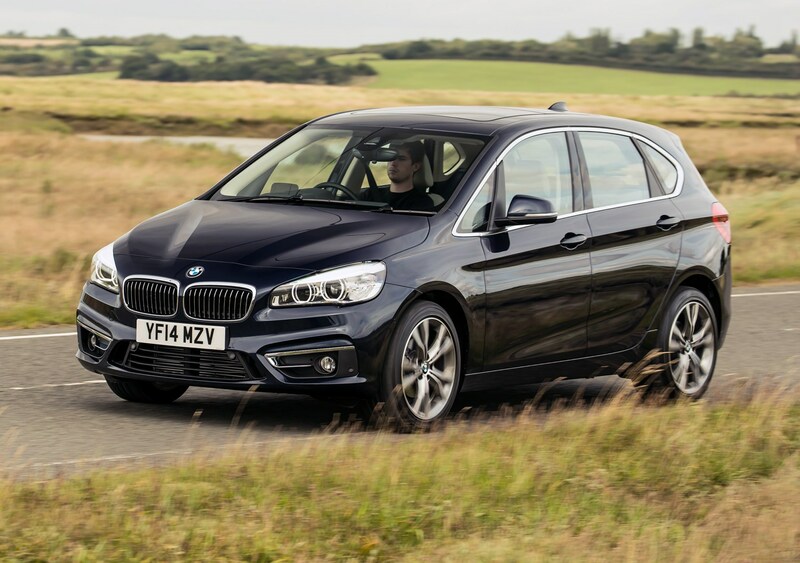 There are four trim choices for the BMW 2 Series Active Tourer in the UK; the entry-level SE is supplemented by Sport, Luxury and M Sport models. 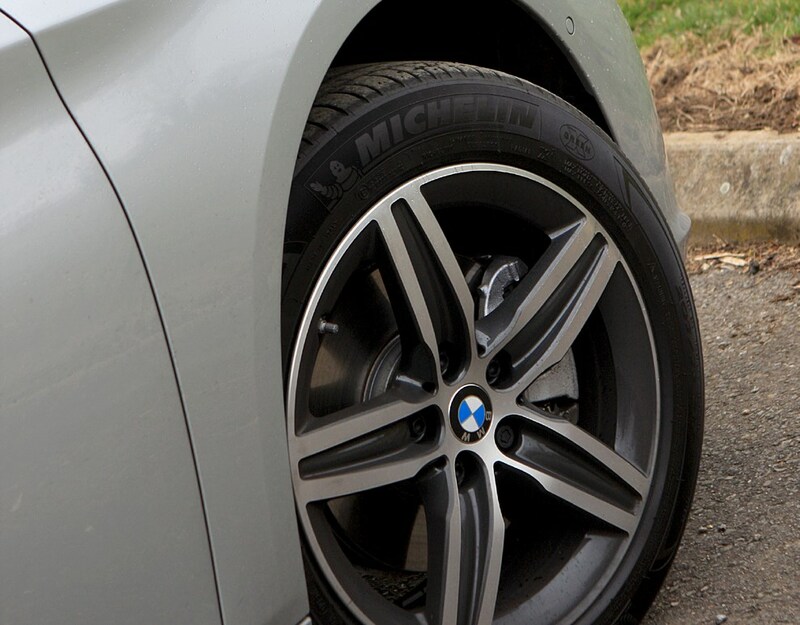 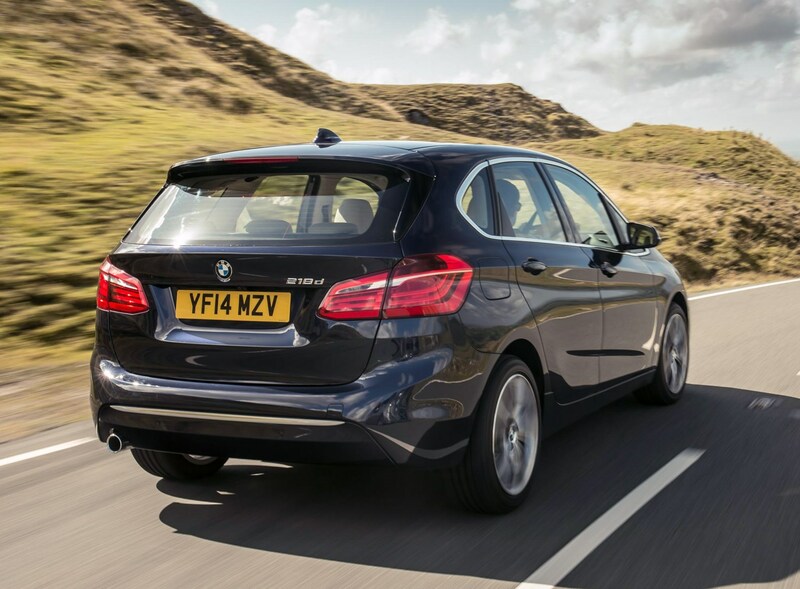 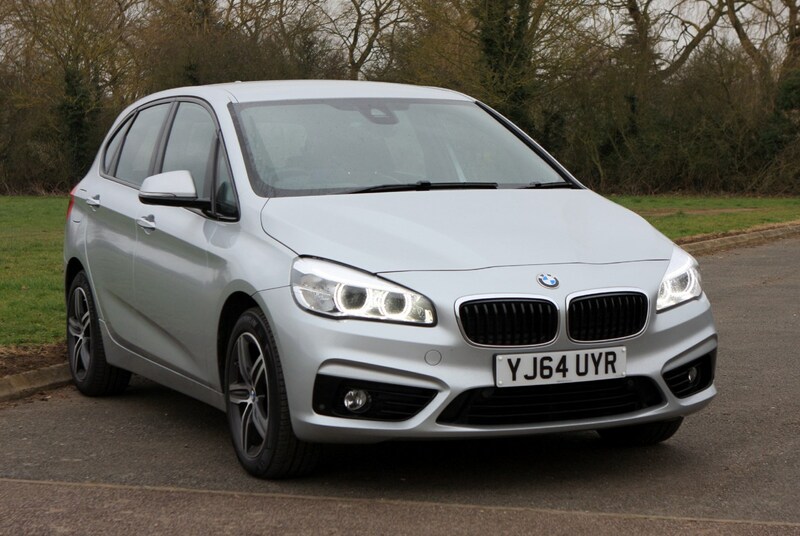 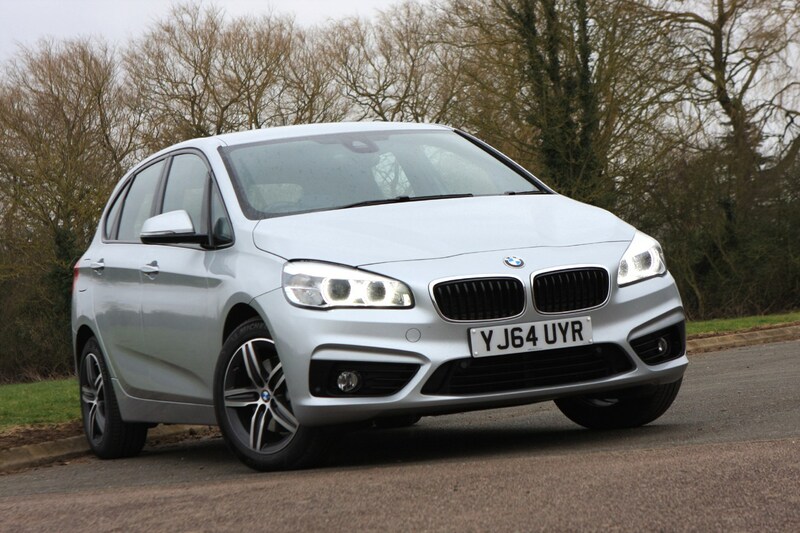 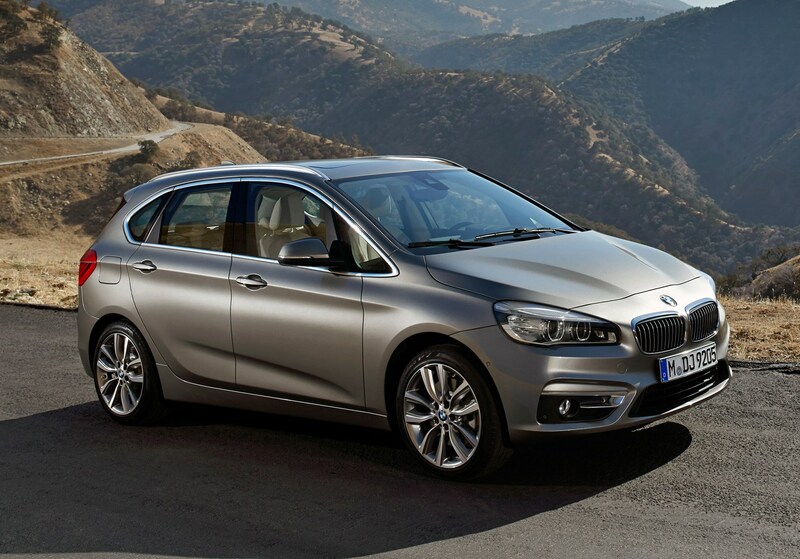 Regardless of which trim you choose, all BMW 2 Series Active Tourers come well equipped – as you’d hope for their price. 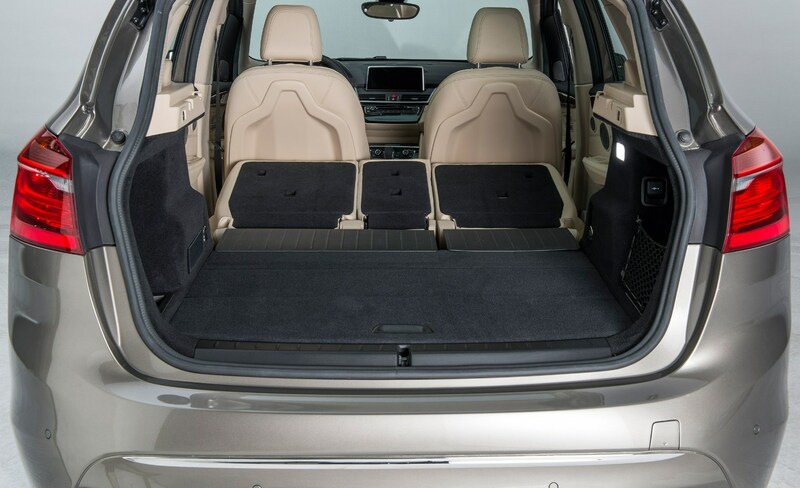 On SE models, practicality is taken care of with the automatic tailgate, which hides the 40:20:40 split rear seat (and 60:40 sliding base) with electronic folding so you don’t have to clamber around in the rear ready to facilitate large loads. 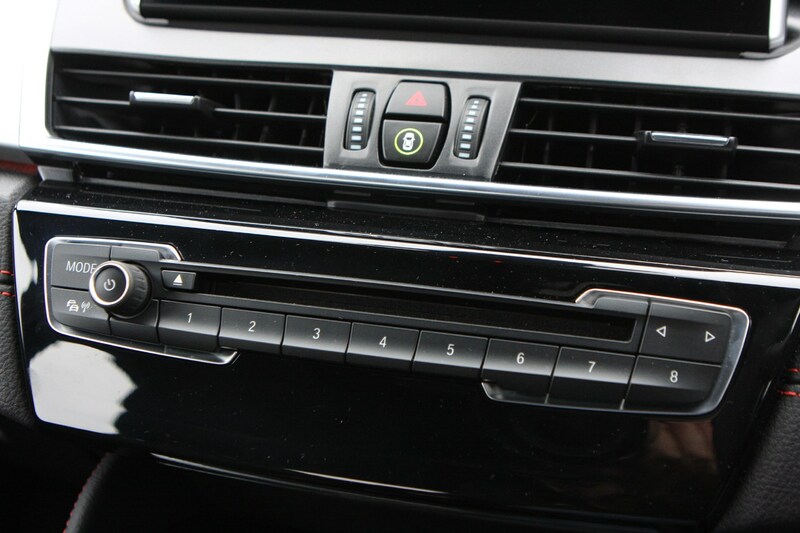 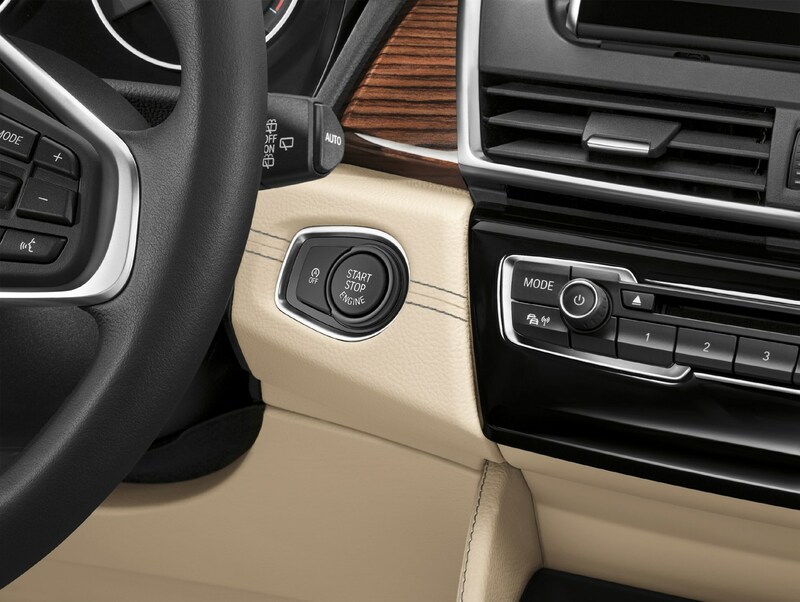 Life’s made just as easy for the drive thanks to Bluetooth connectivity and a USB interface for the BMW Professional radio with single CD player, which also allows for audio streaming and offers DAB radio. 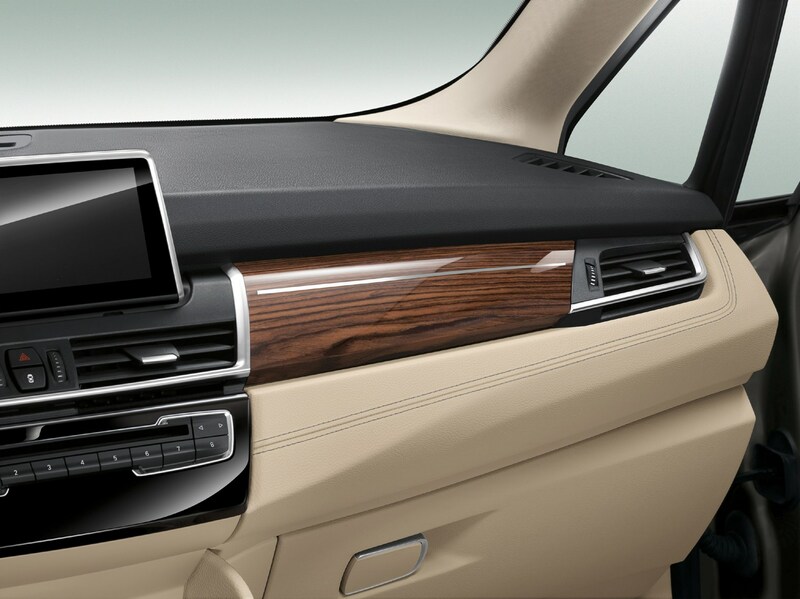 Everything is displayed on the central freestanding – as is the current fashion- 6.5-inch monitor. 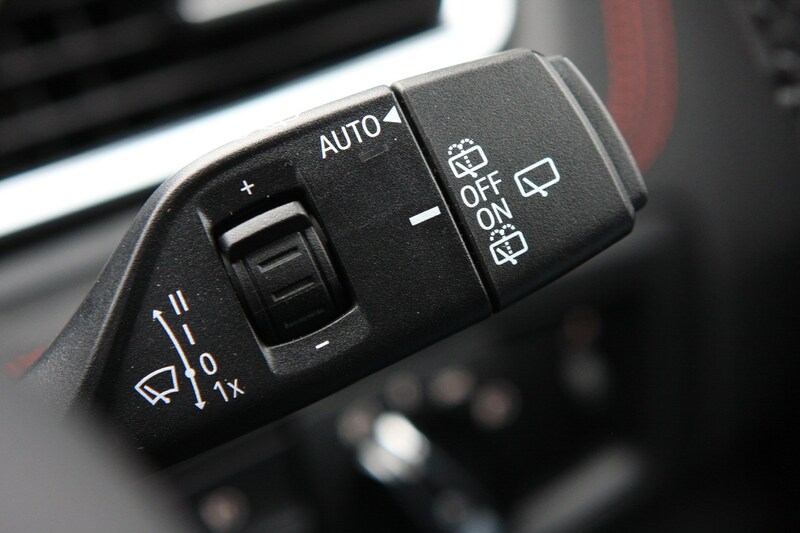 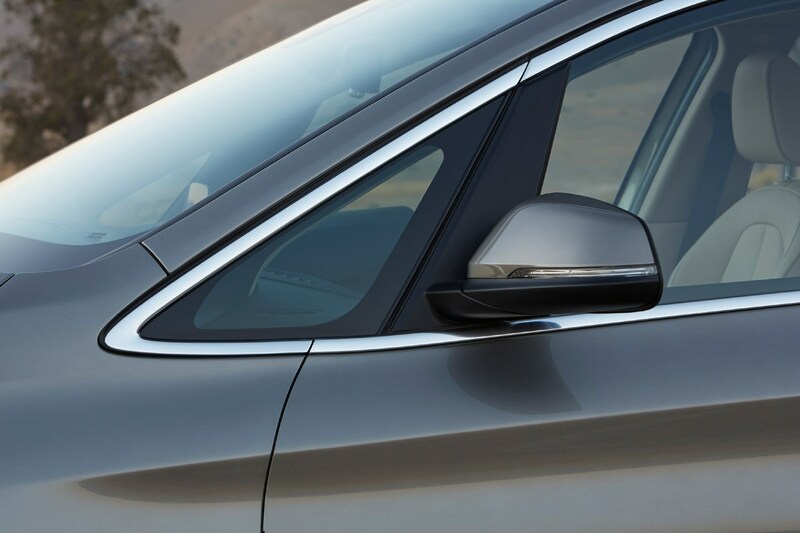 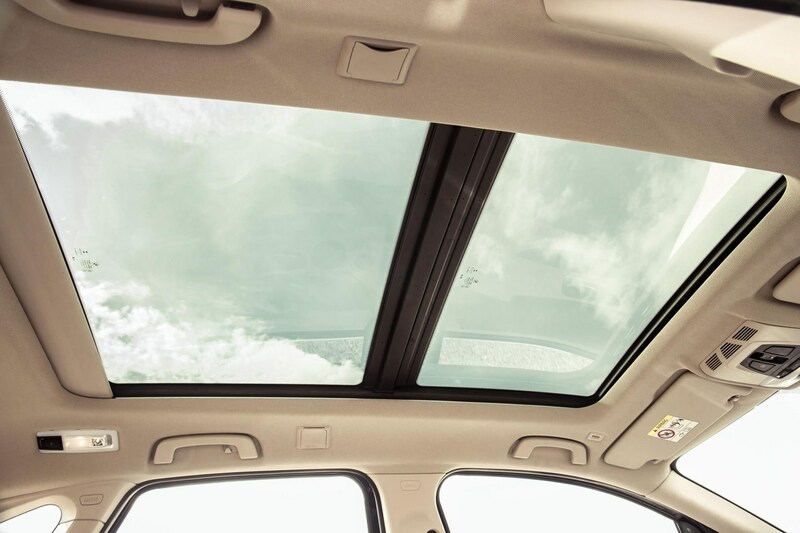 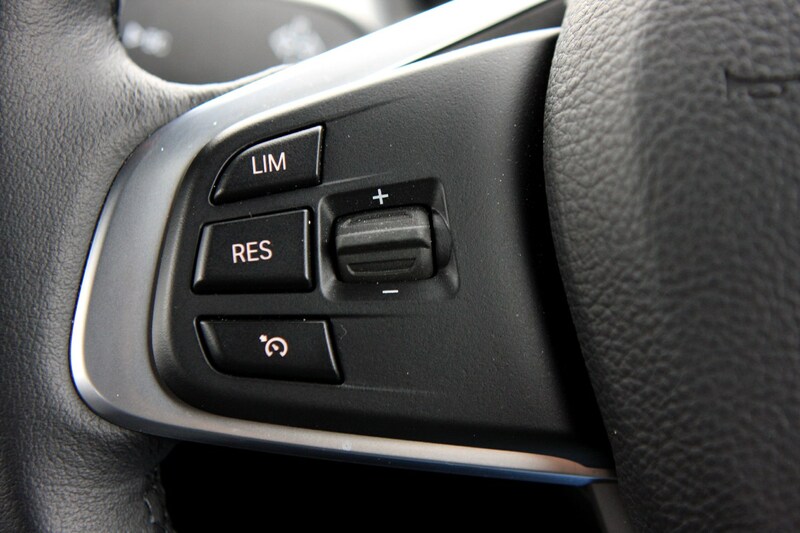 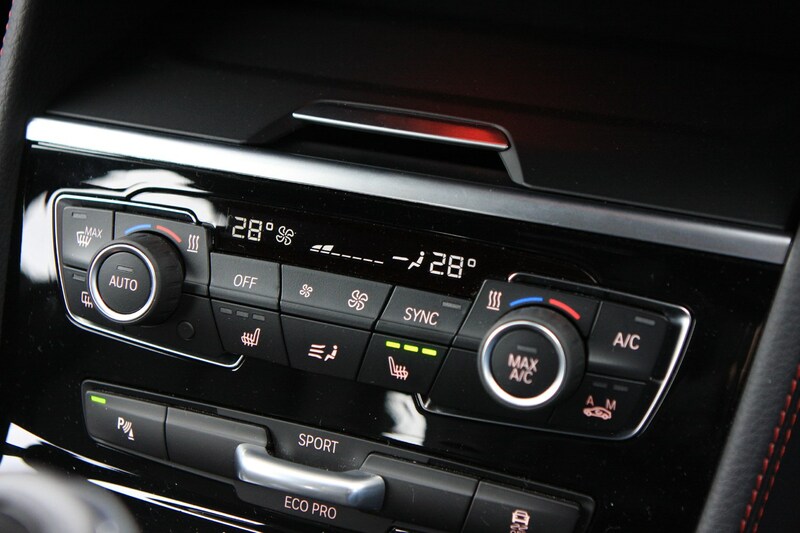 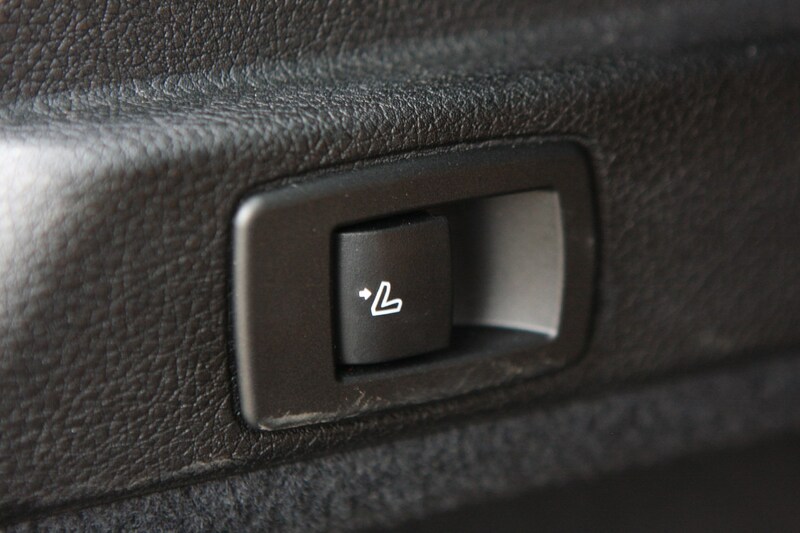 Keeping occupants cool is the dual-zone climate control system, while rain and light sensors activate the headlights and wipers automatically and rear parking sensors mean there’s no excuse for backing into anything unexpected. 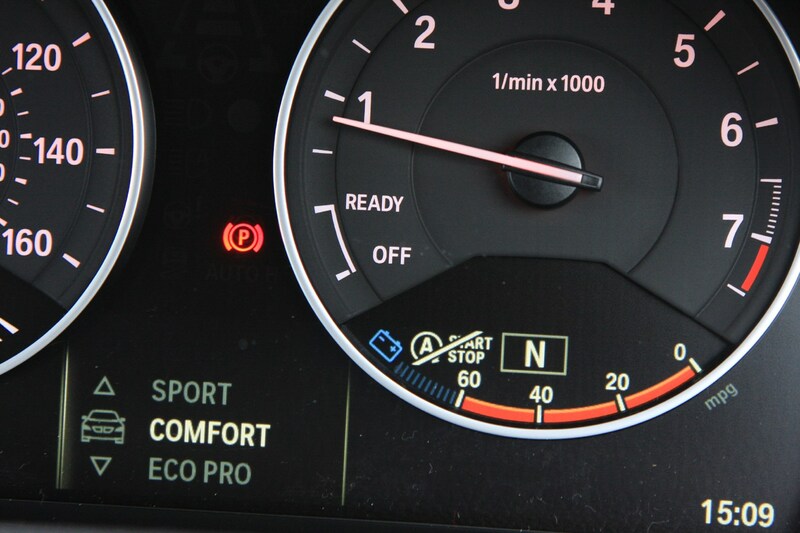 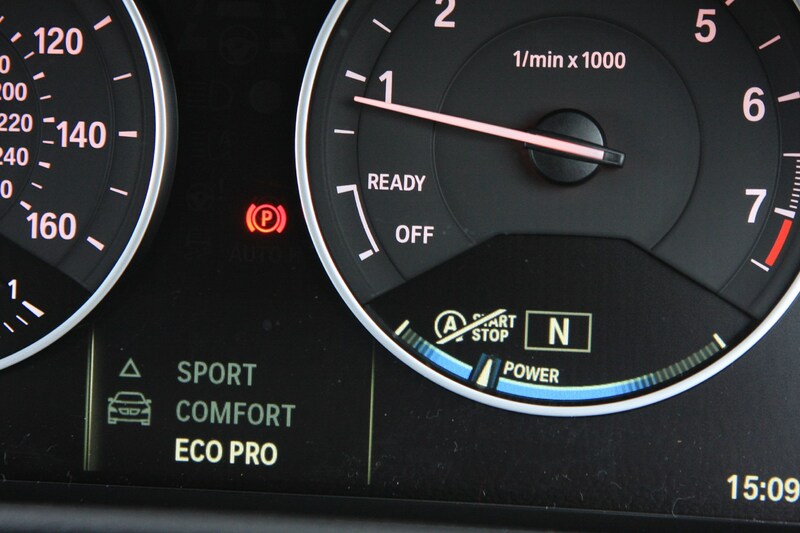 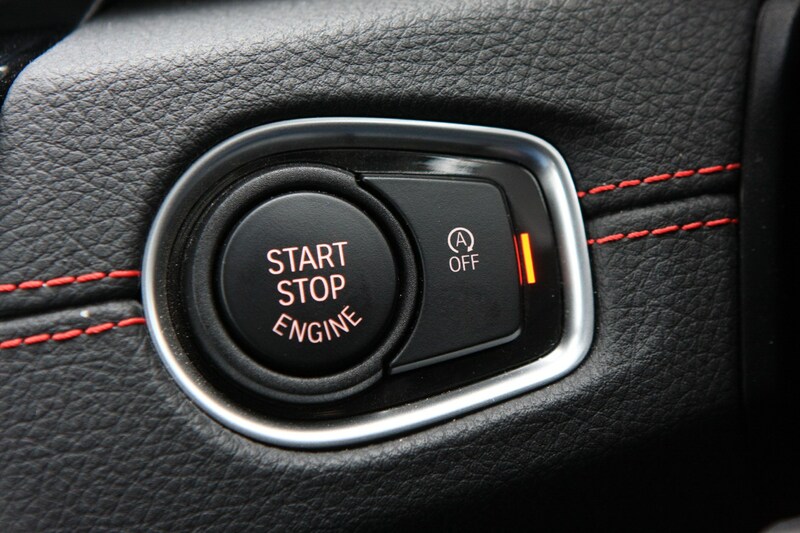 Drive Performance Control with Eco Pro helps save fuel, thanks to efficiency tips, and the car can be started on the button without a key. 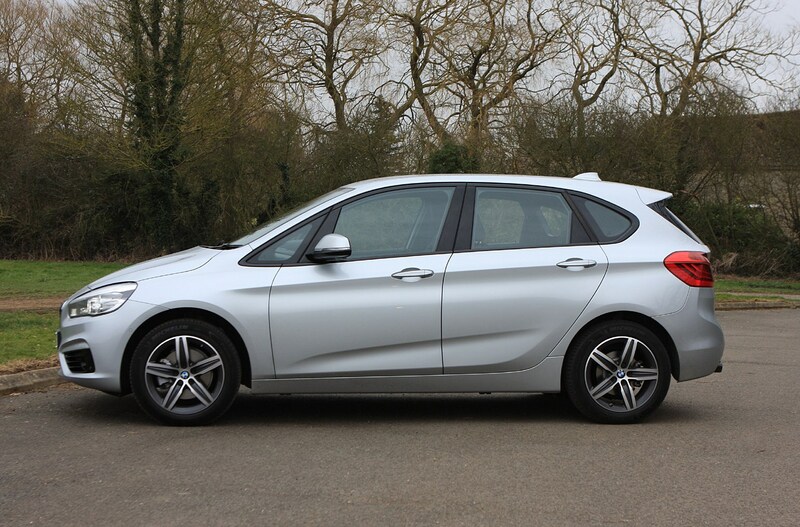 If buyers fancy something a little Sportier, then it’s the £1,250 more expensive Sport model that will catch their eye – adding 17-inch alloy wheels (rather than 16-inch items), sports front seats, LED ambient lighting and tweaks to the interior trim and exterior styling. 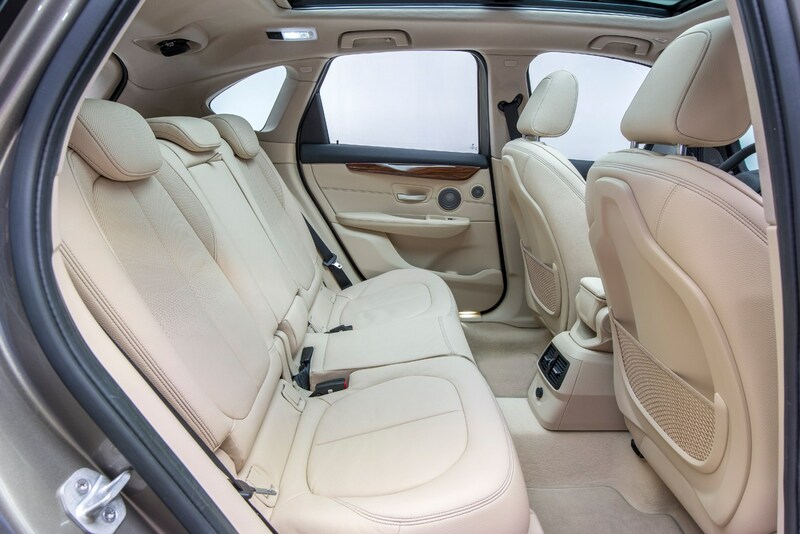 Next in the line-up is the Luxury model, £2,000 more than the standard SE, which brings with it 17-inch alloy wheels of a different design, leather seats, LED ambient lighting, chrome exterior details and wood trim on the interior. 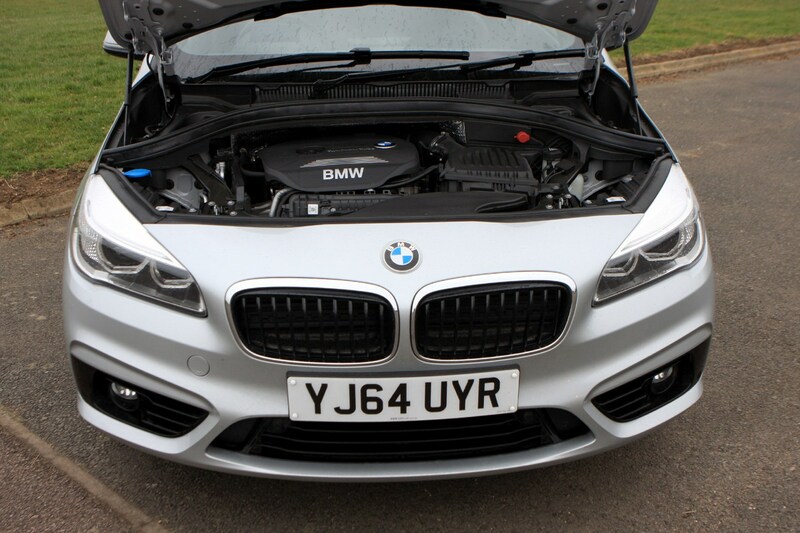 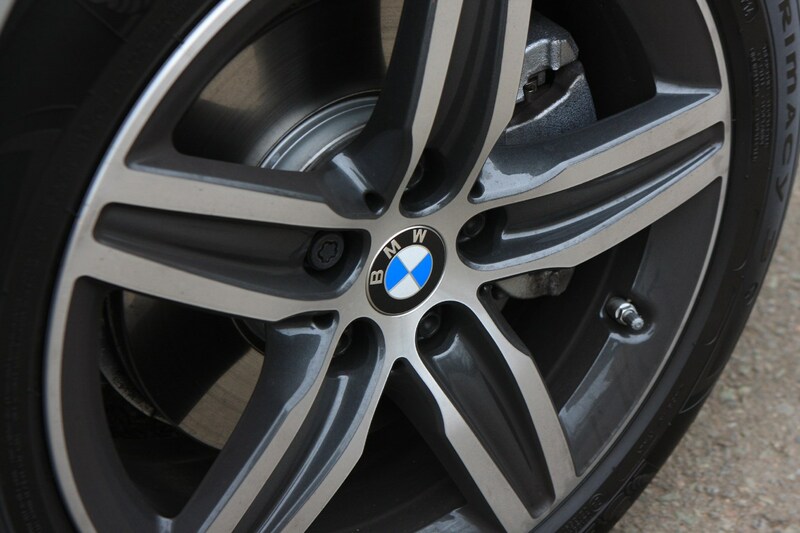 November 2014 saw the introduction of M Sport models, costing a further £3,000 over the SE specification cars, and change the look of the car thanks to an aerodynamics package, specific M Sport suspension, 18-inch M Sport alloy wheels and sports steering wheel and seat combination. 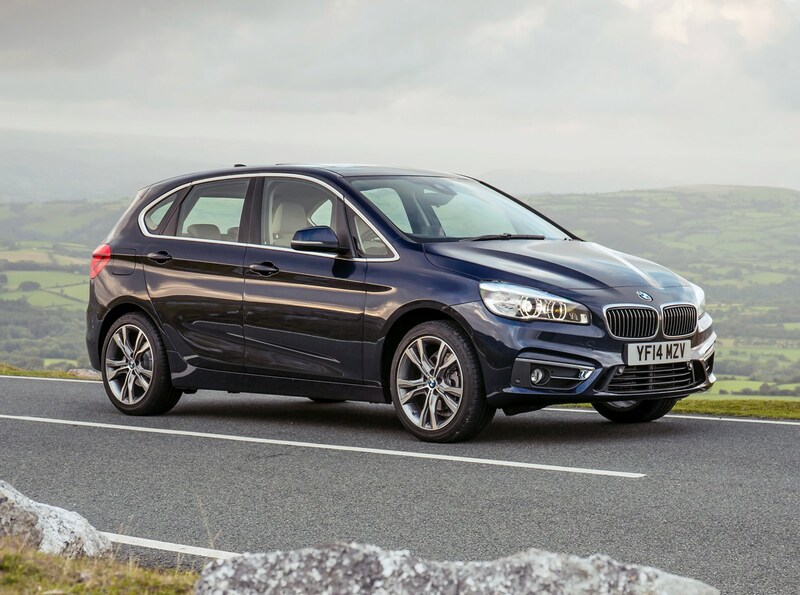 There are a number of options packages available on the BMW 2 Series Active Tourer, each offering a bundle of extra kit for less cost than the individual items added together. 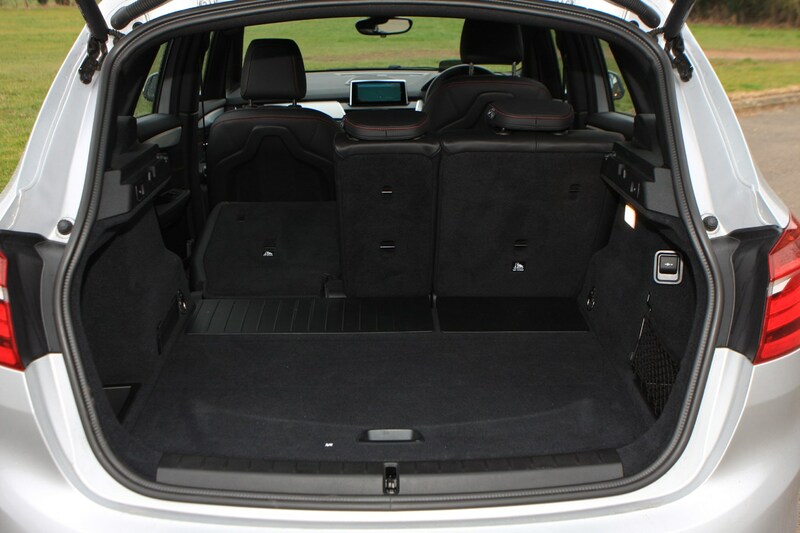 The Technology Package adds a reversing camera, Comfort Access – which allows you to open the boot with just a swing of your foot below the rear bumper – and adaptive LED headlights. 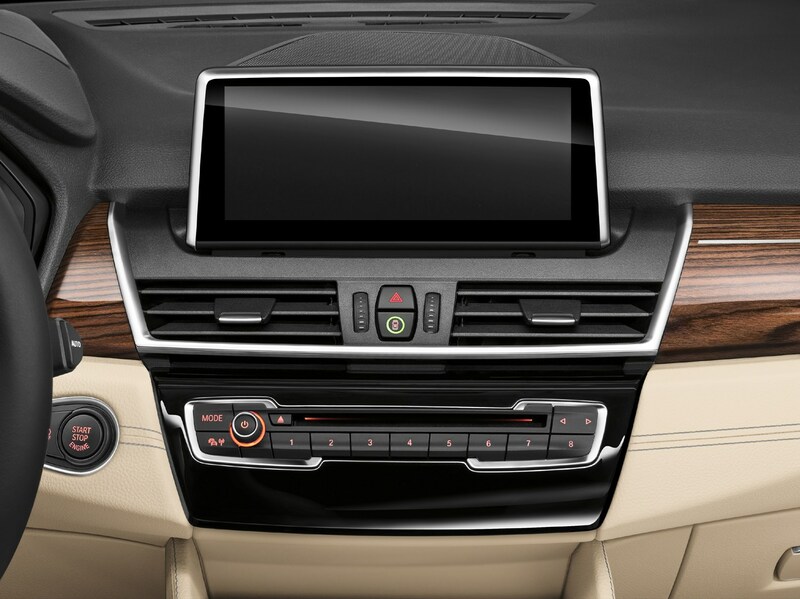 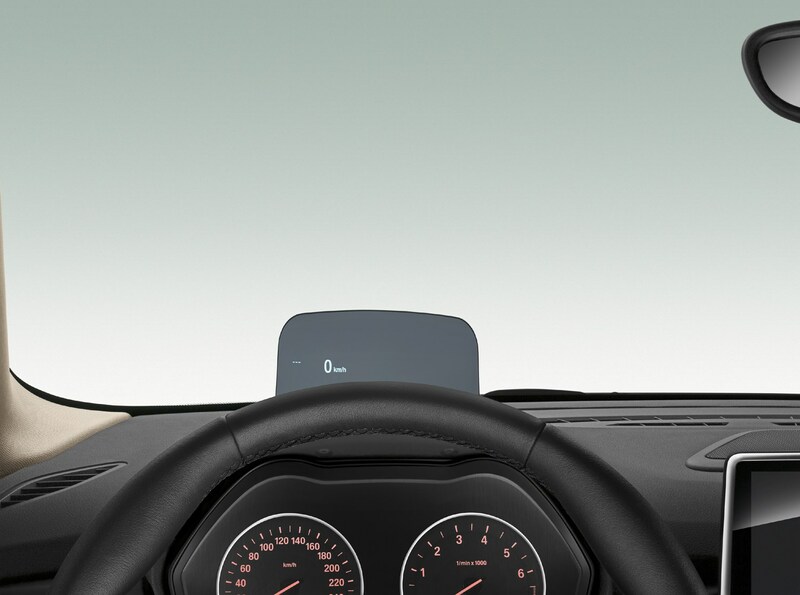 Choose the Navigation Plus Package and you’re treated to a new 8.8-inch full-colour display, Connected Drive Services with real time traffic information and a Head-up display. 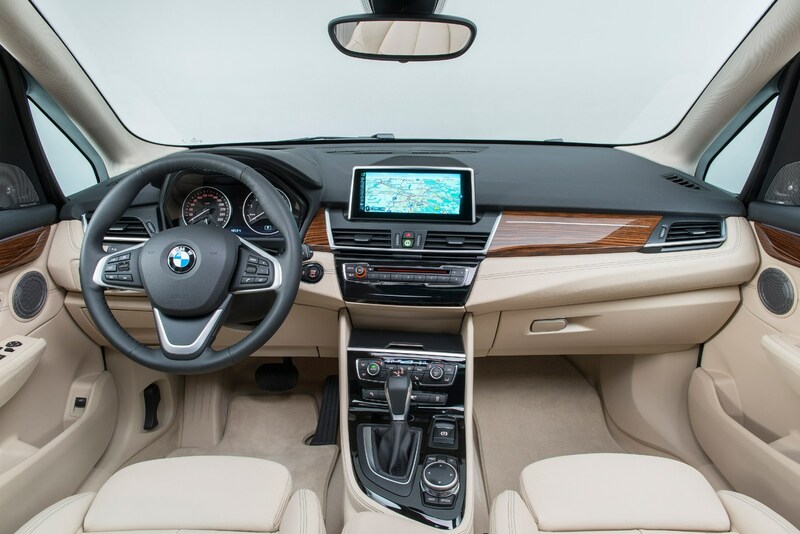 There’s also the standard Navigation Package with smaller screen and regular traffic information plus a Driver Comfort Package with adaptive cruise control and Park Assist. 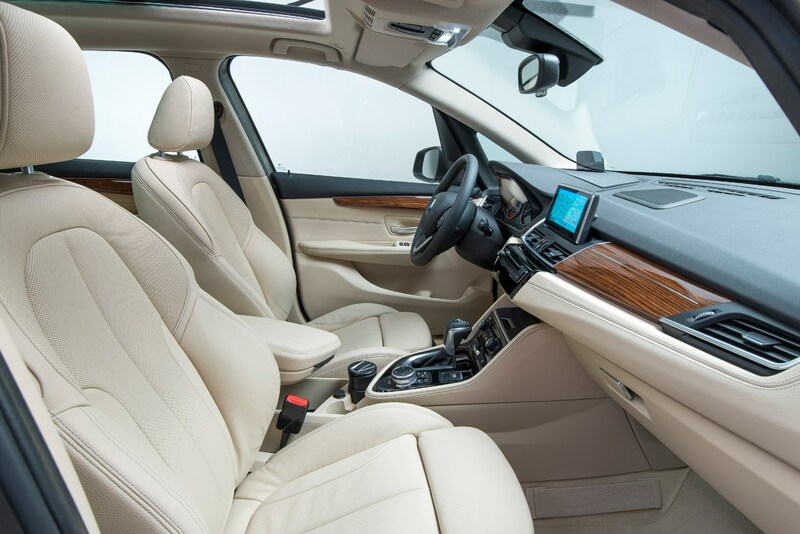 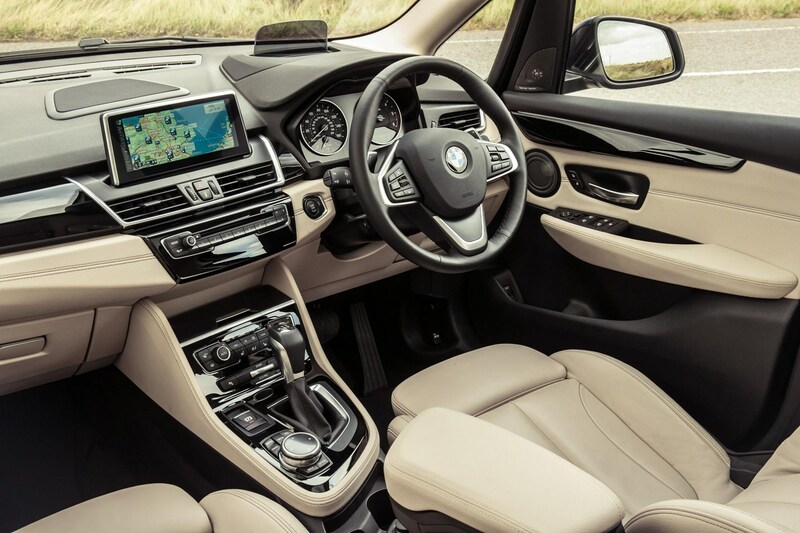 After that the list is extensive, and includes the Panoramic Glass sunroof – which floods the cabin with light, making it feel even larger – and the upgraded Harmon/Kardon audio system, active cruise control and various trim and colour choices. 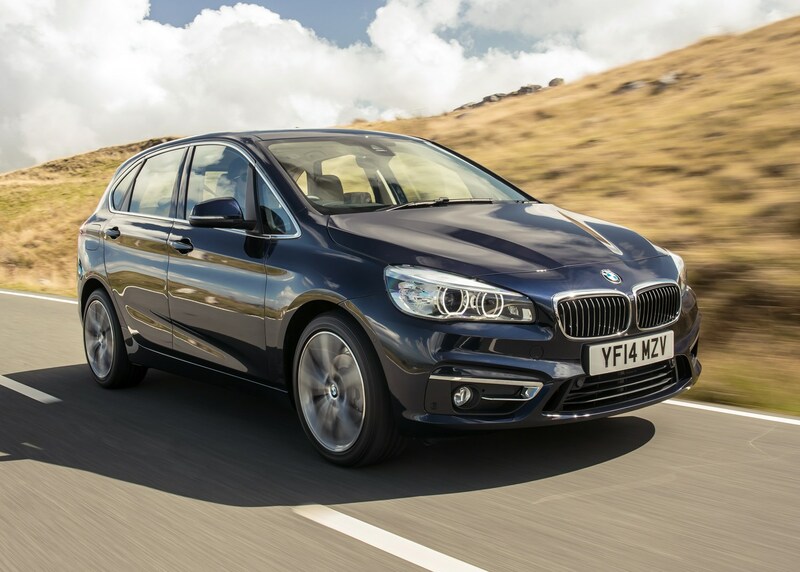 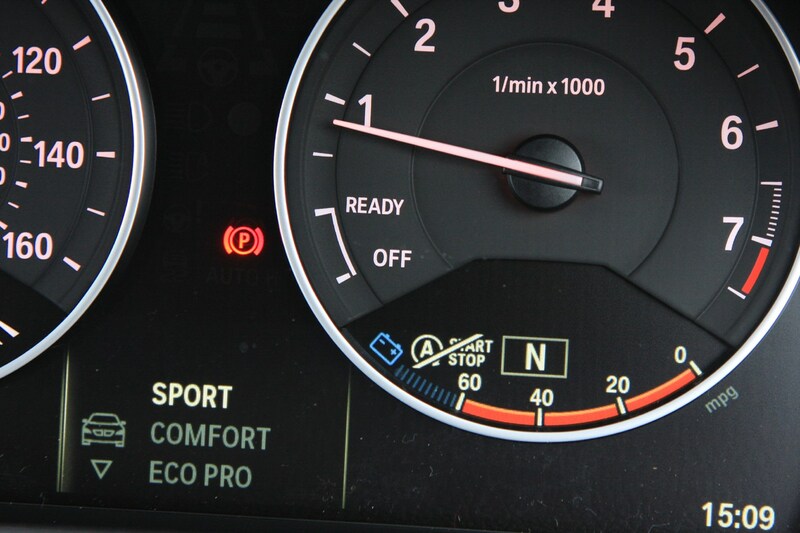 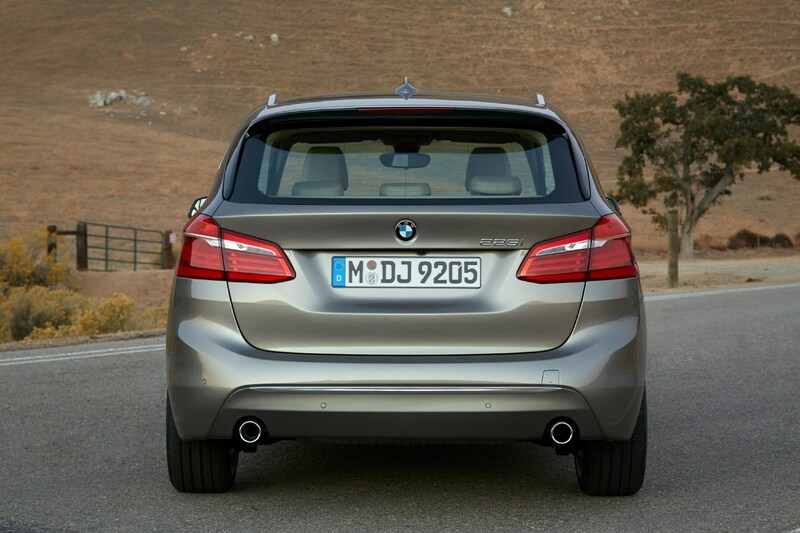 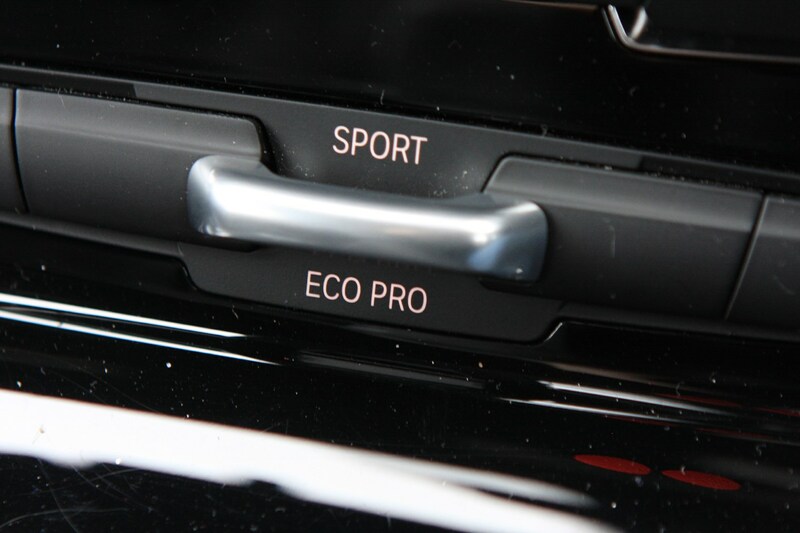 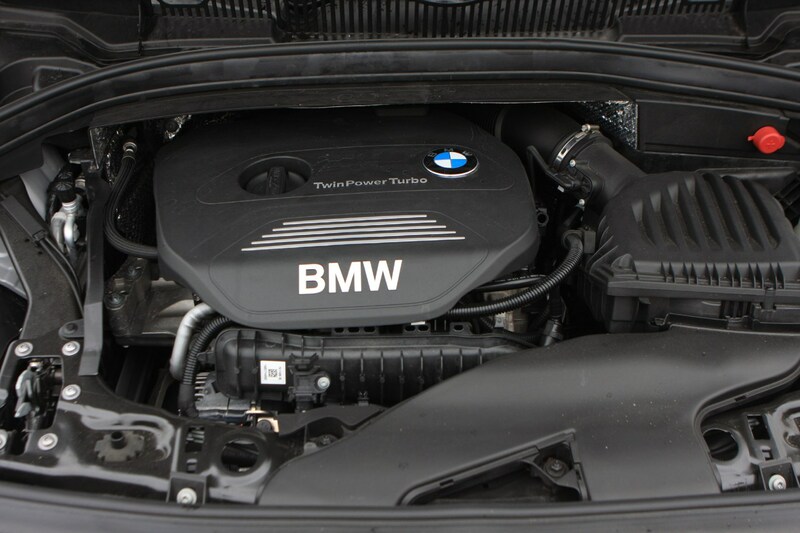 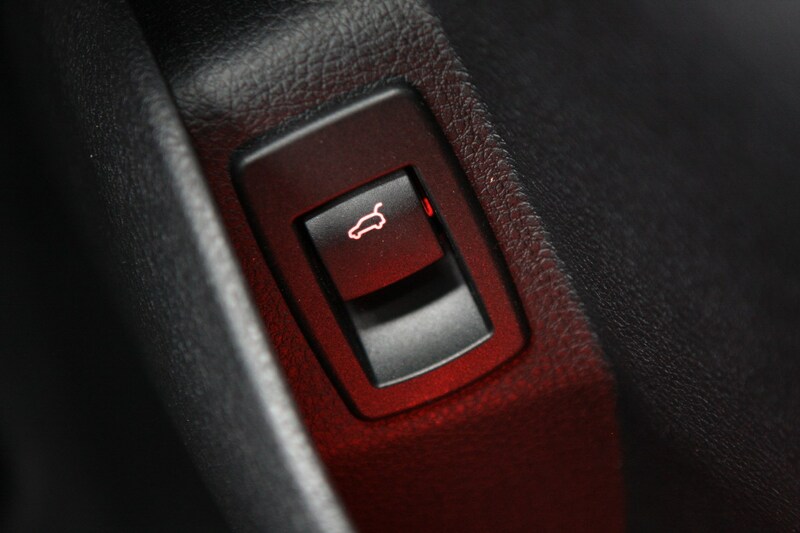 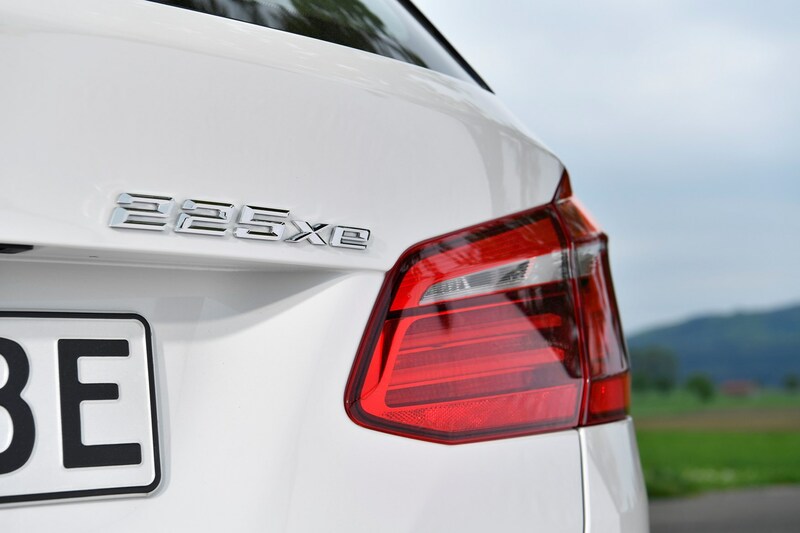 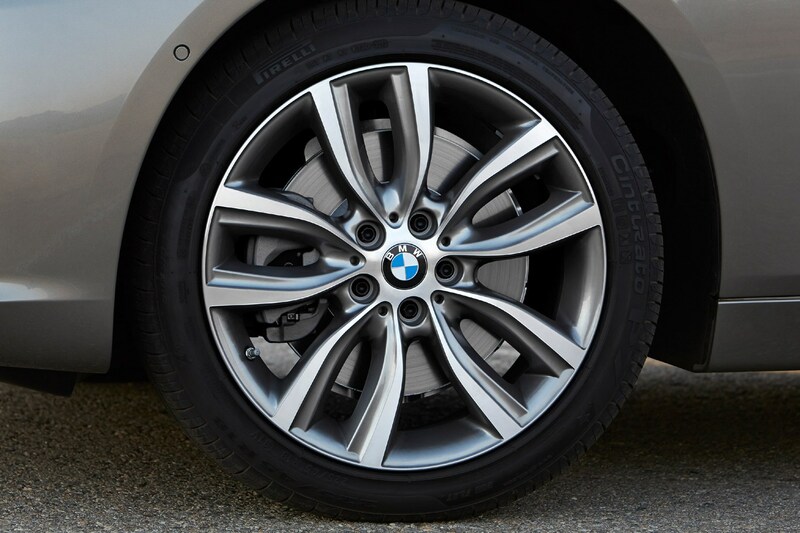 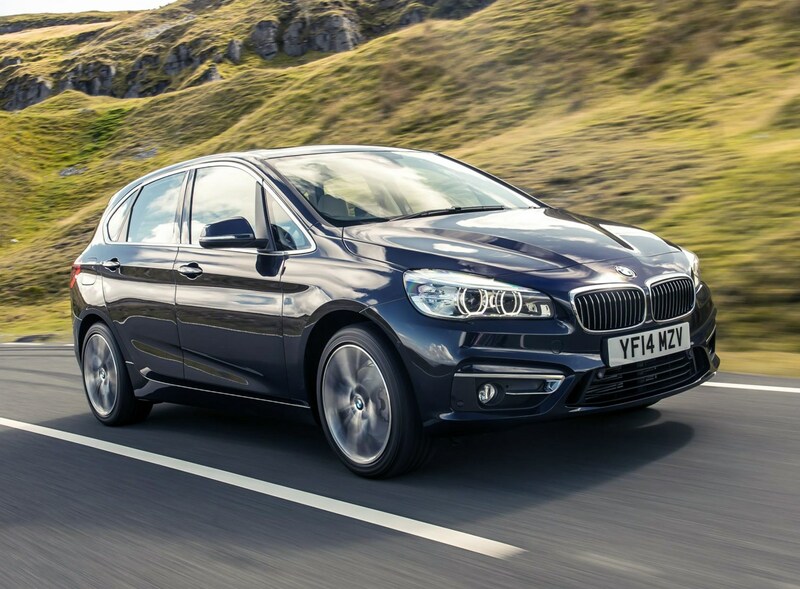 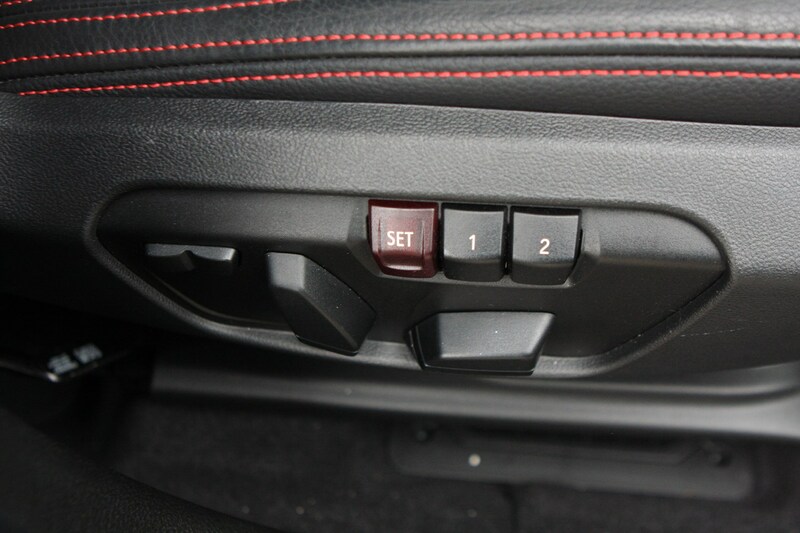 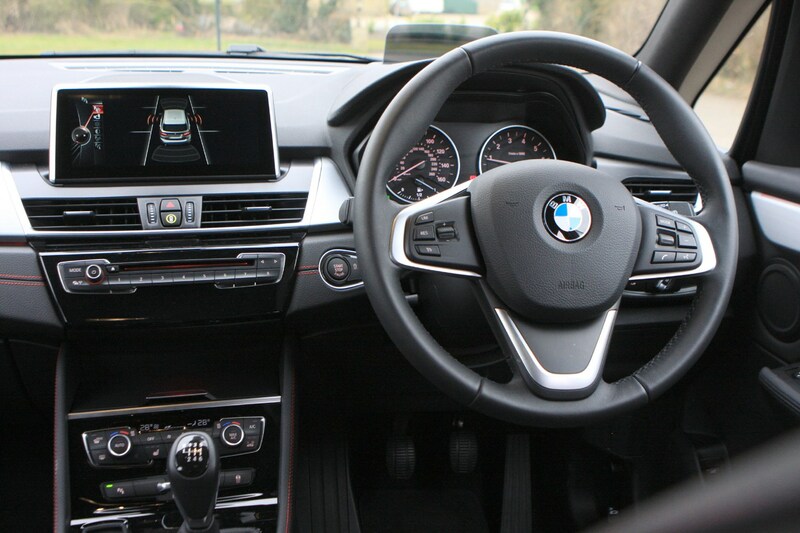 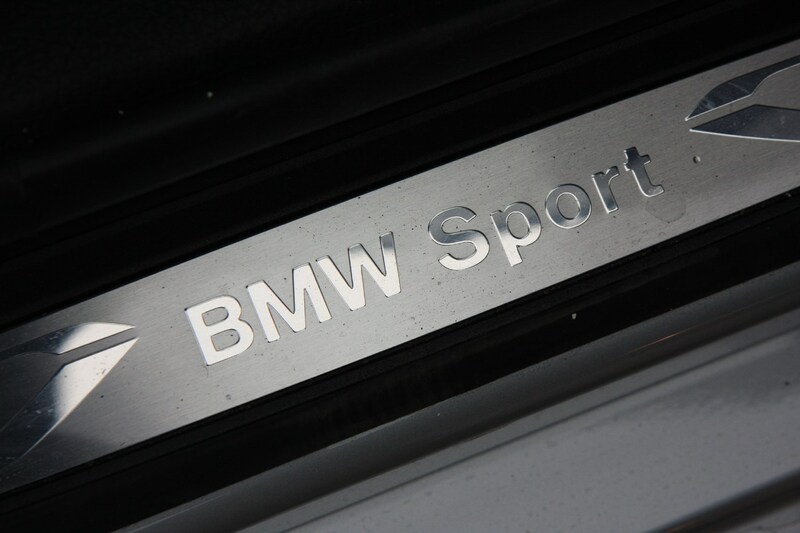 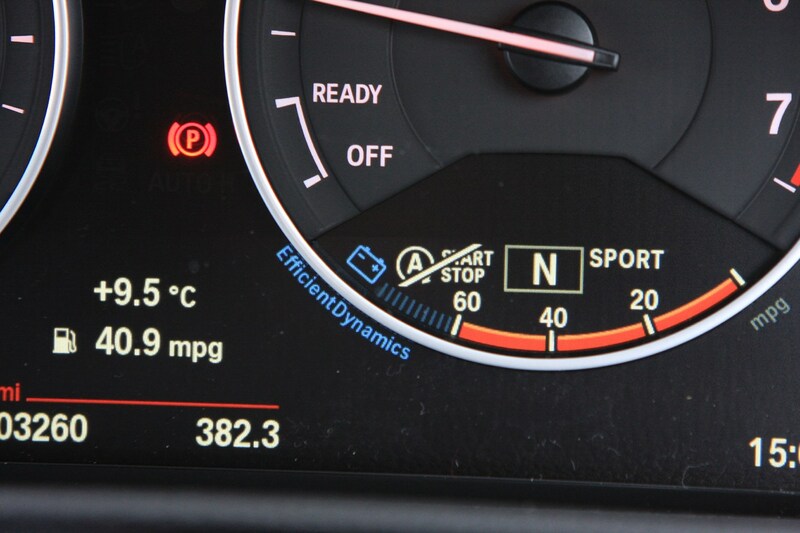 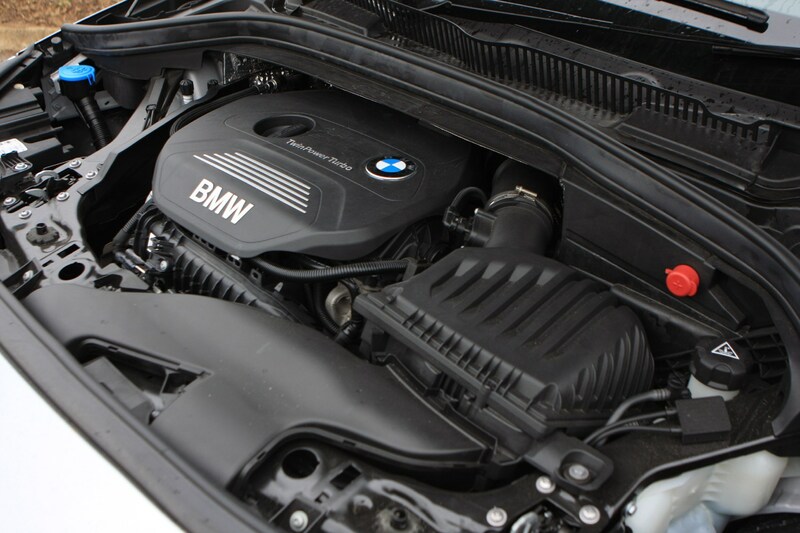 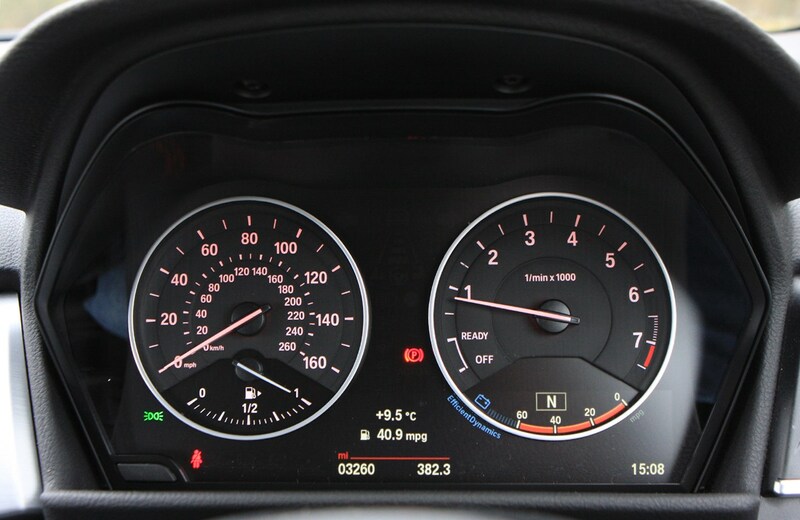 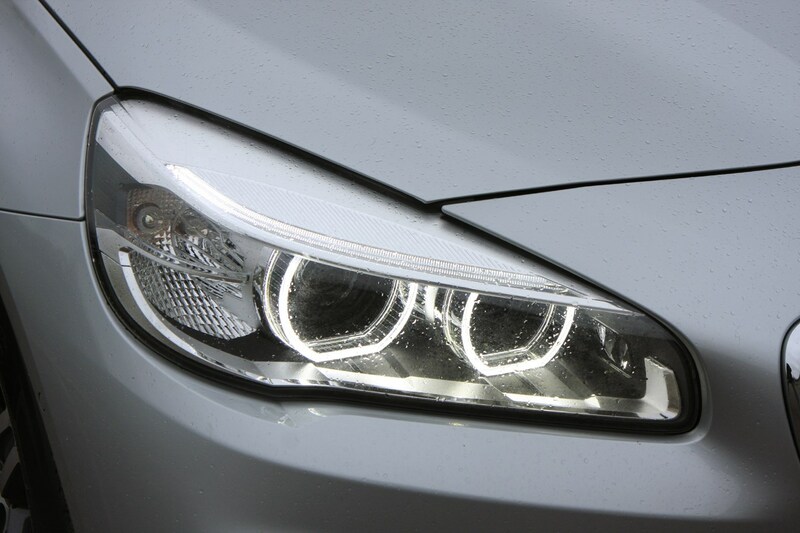 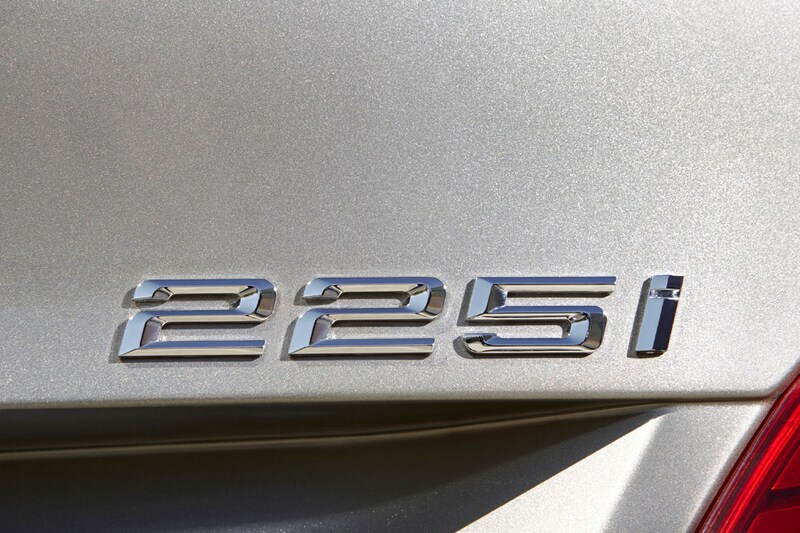 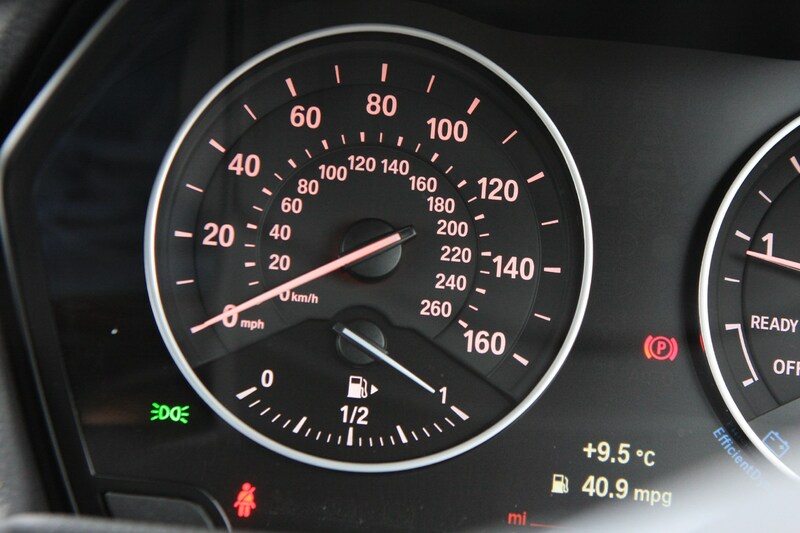 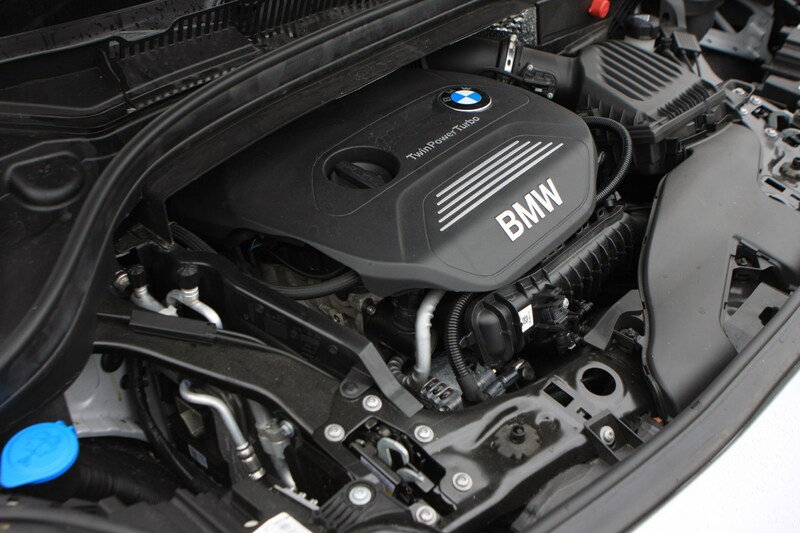 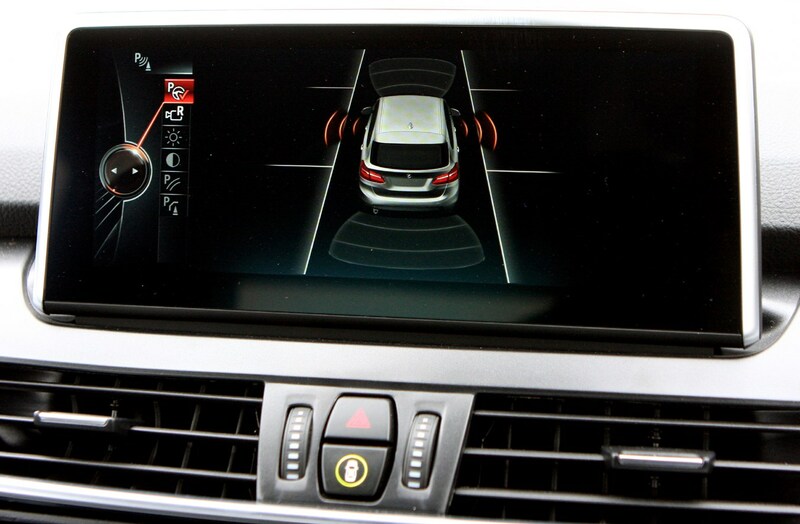 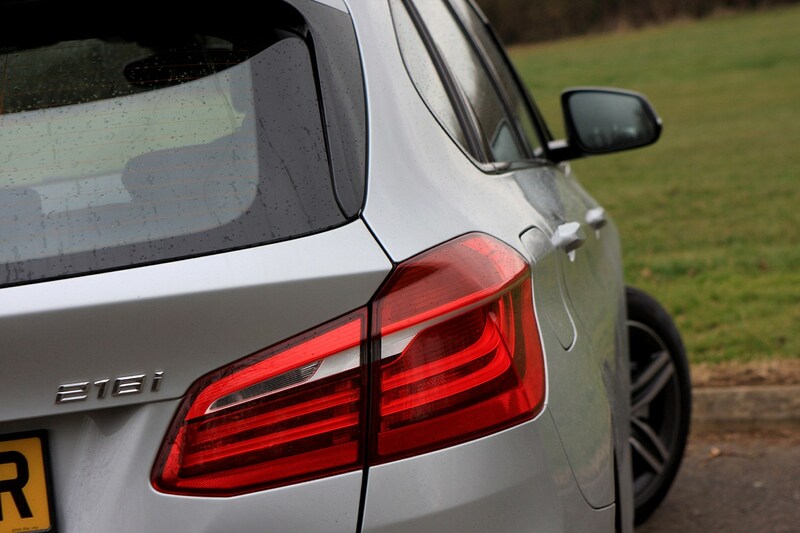 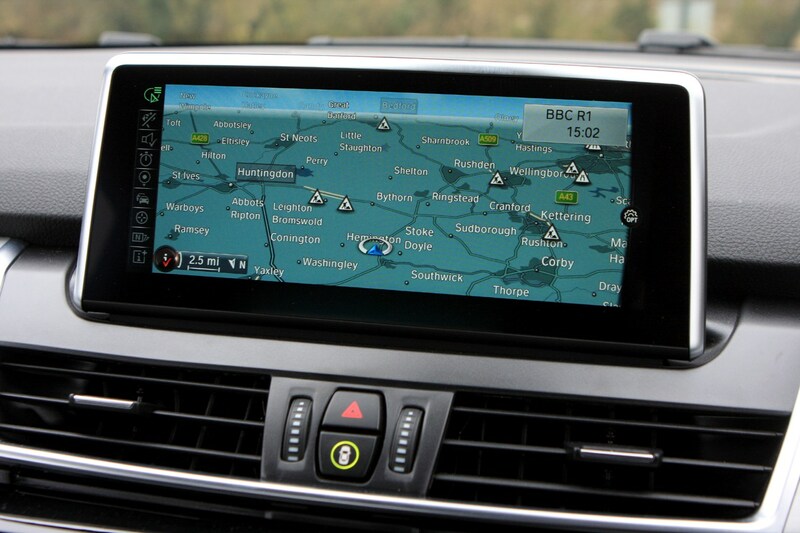 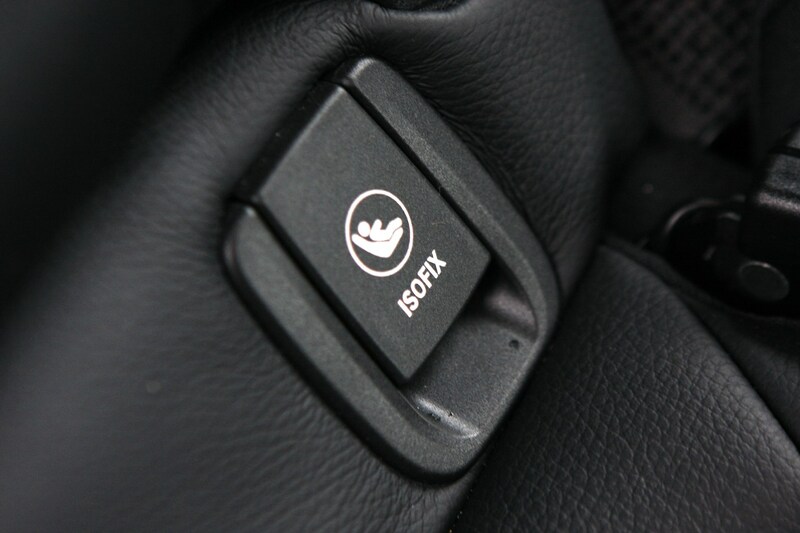 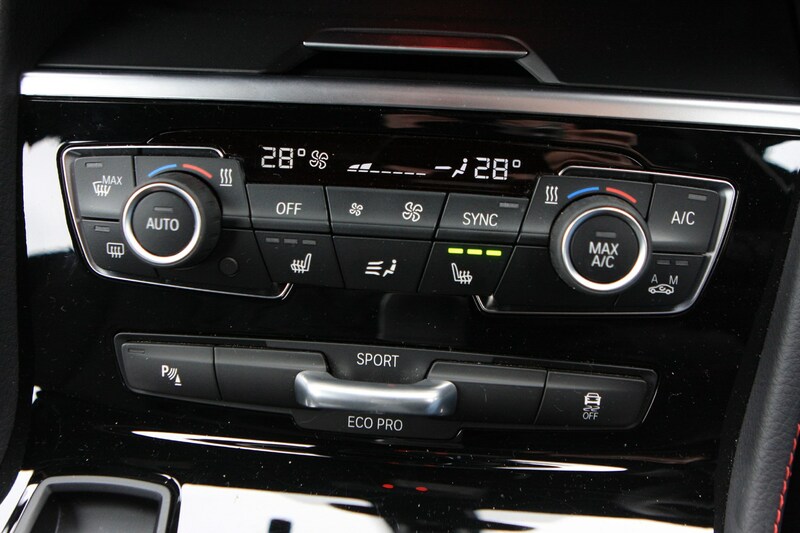 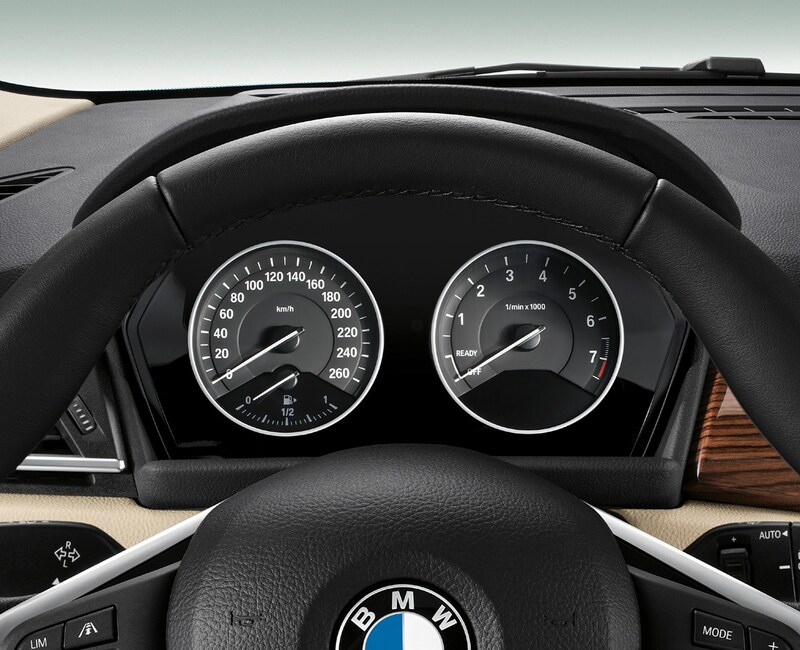 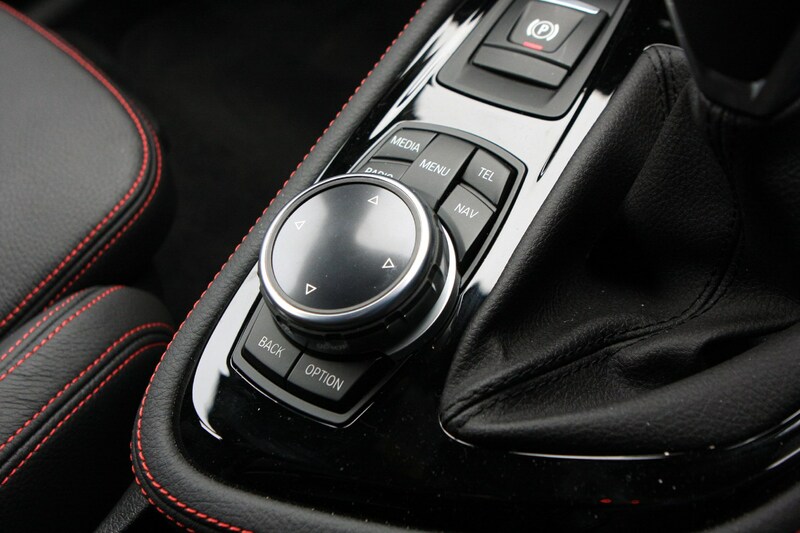 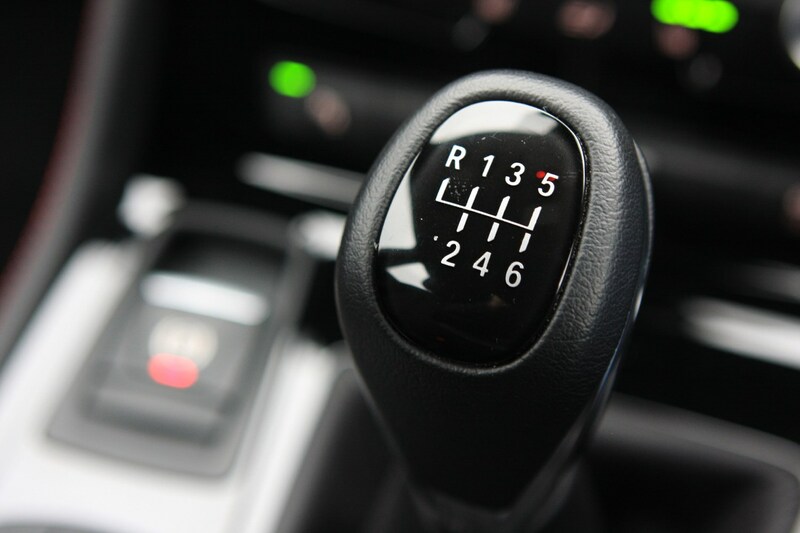 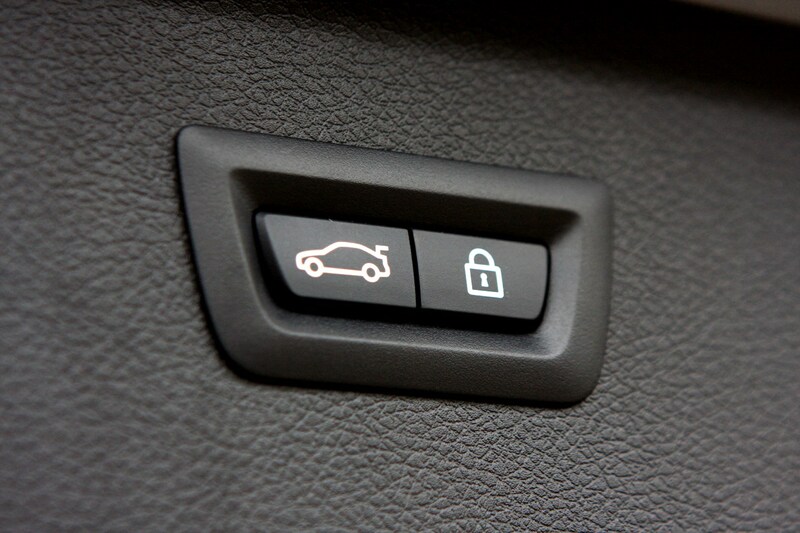 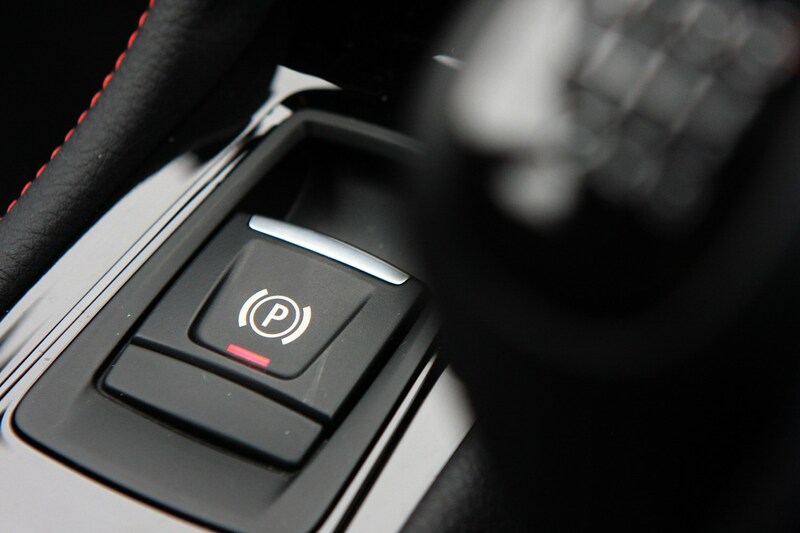 The basic equipment list includes equipment that is standard across all versions of the BMW 2-Series Active Tourer. 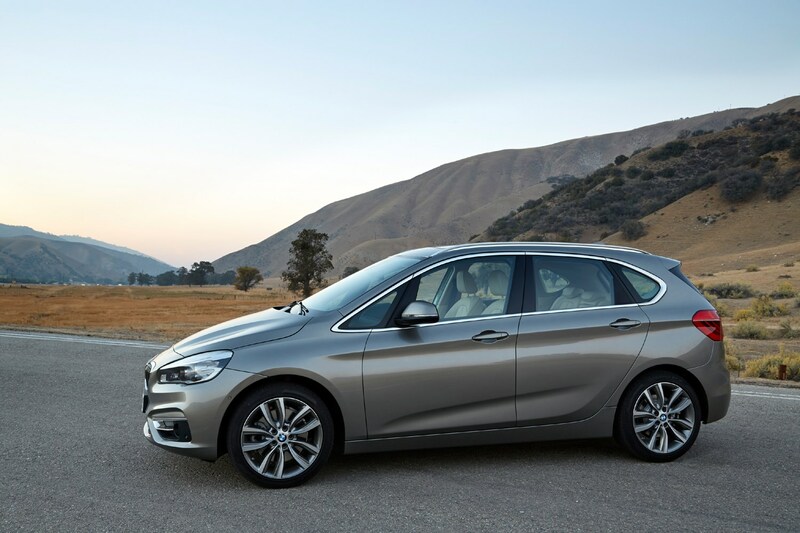 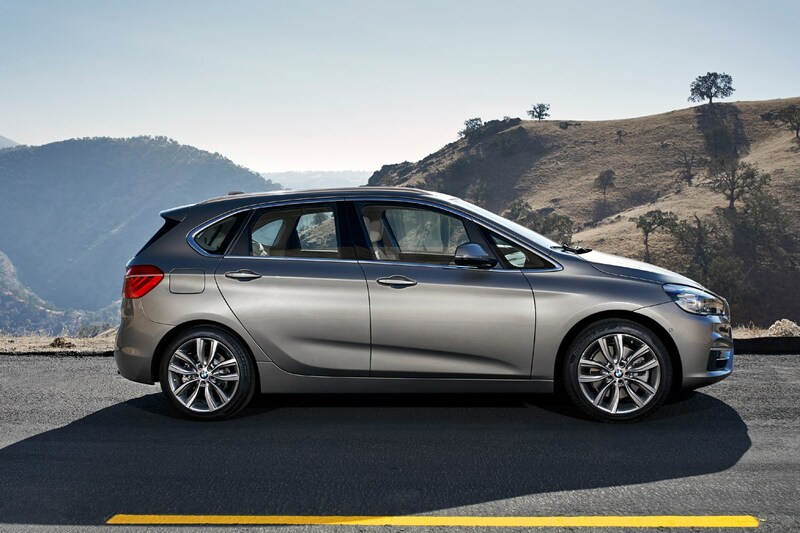 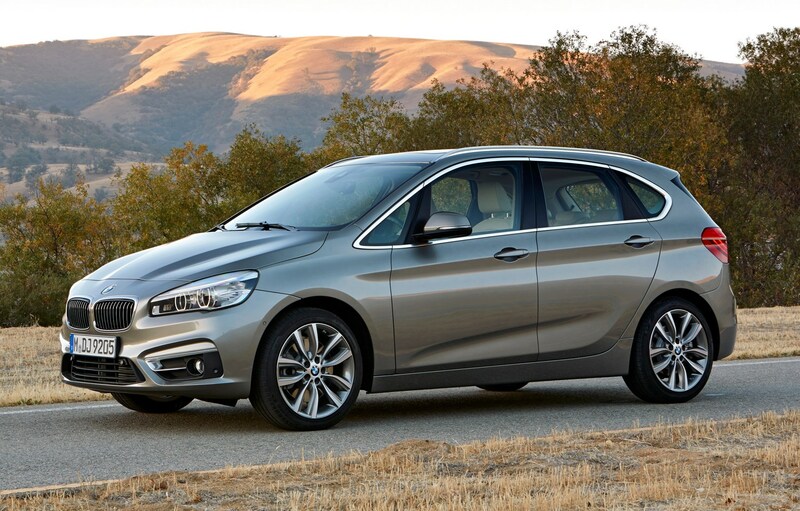 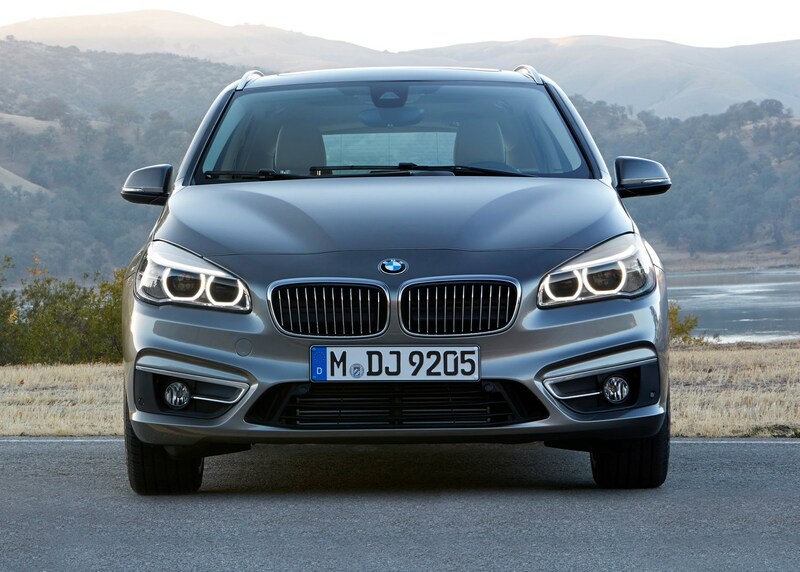 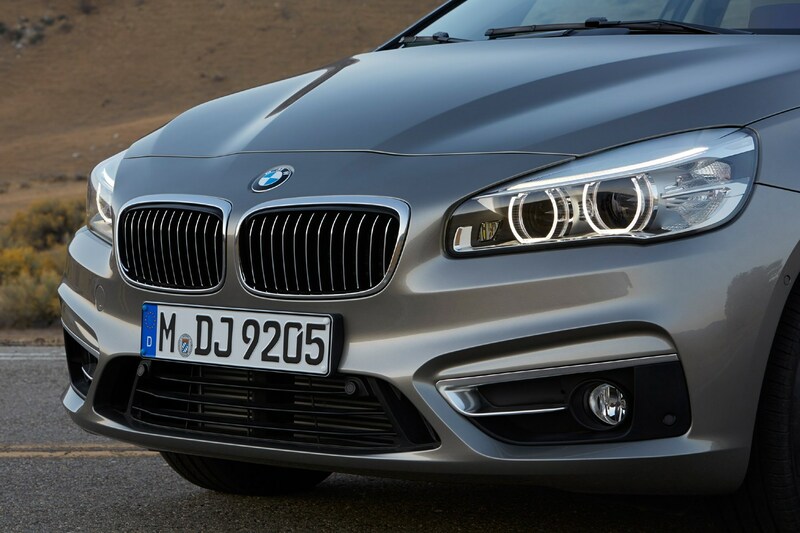 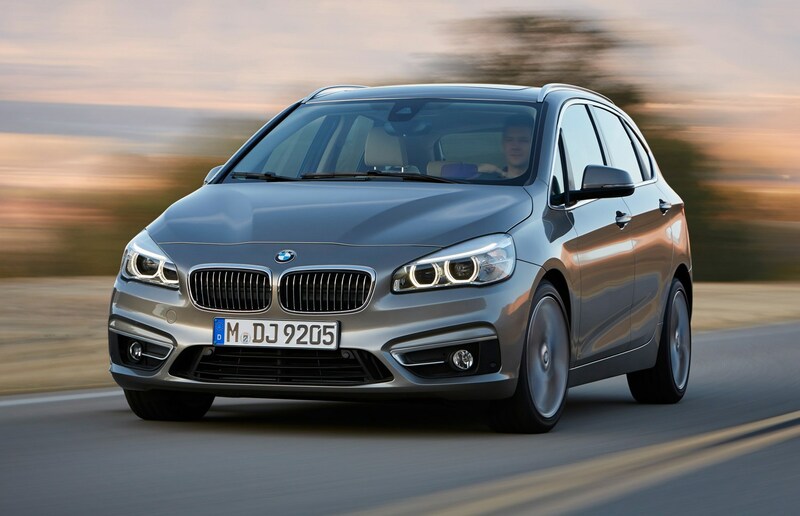 The 2 Series Active Tourer scored five stars at Euro NCAP’s crash-testing programme. 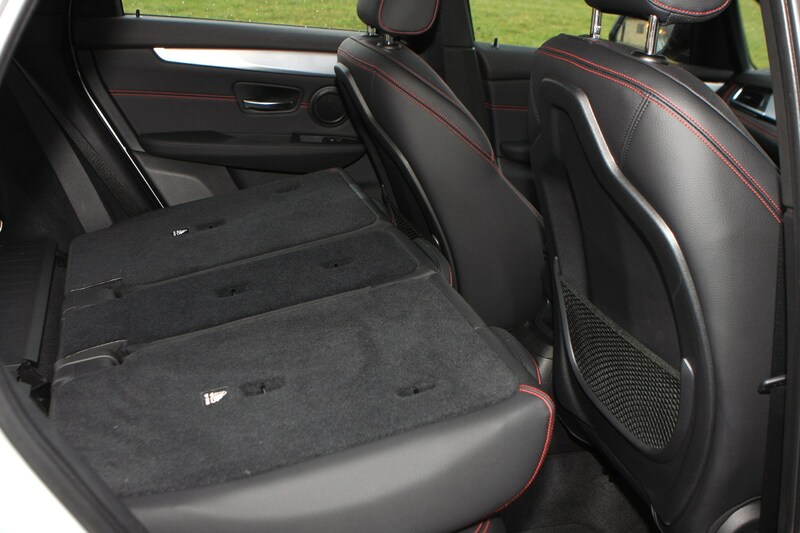 It’s got plenty of safety kit on board as standard, including two rear Isofix mounting points and one in the front passenger seat. 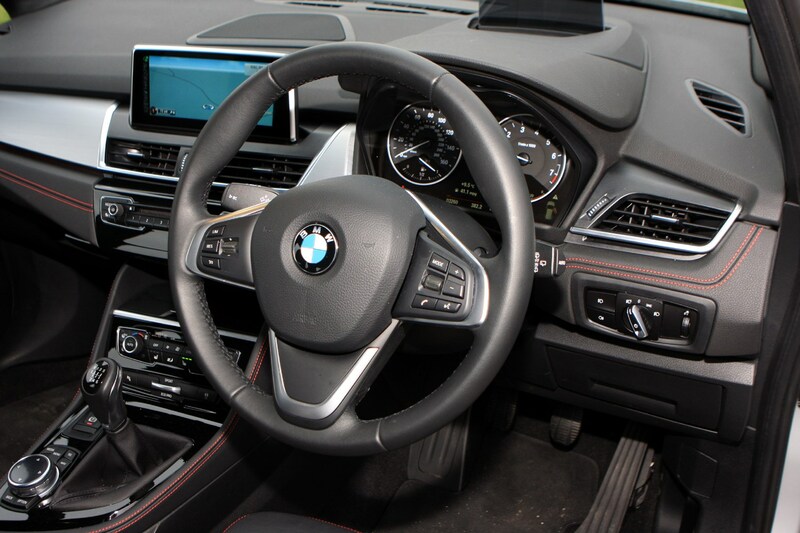 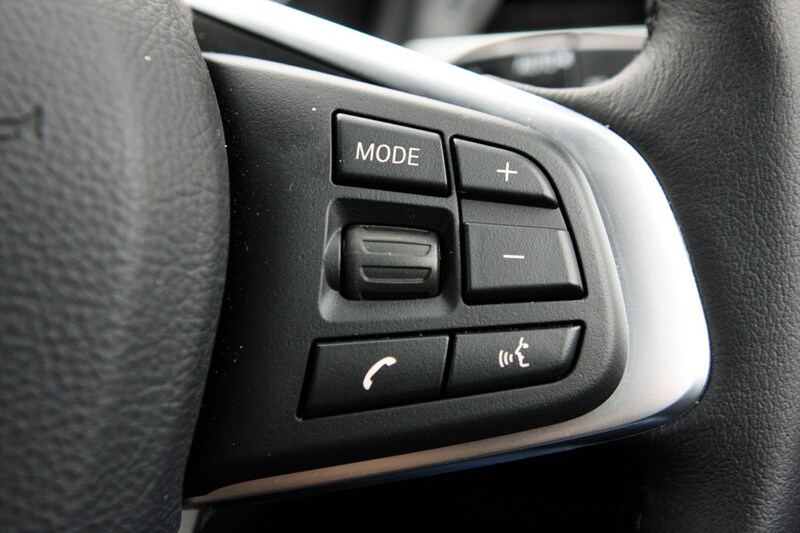 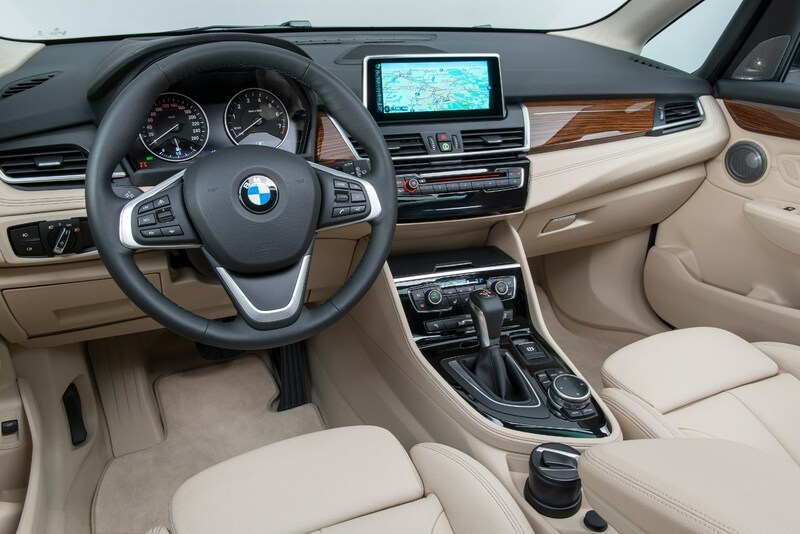 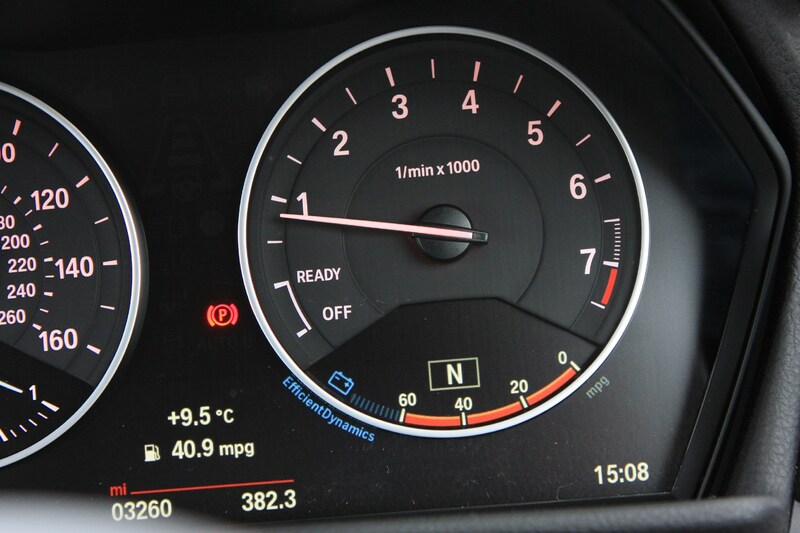 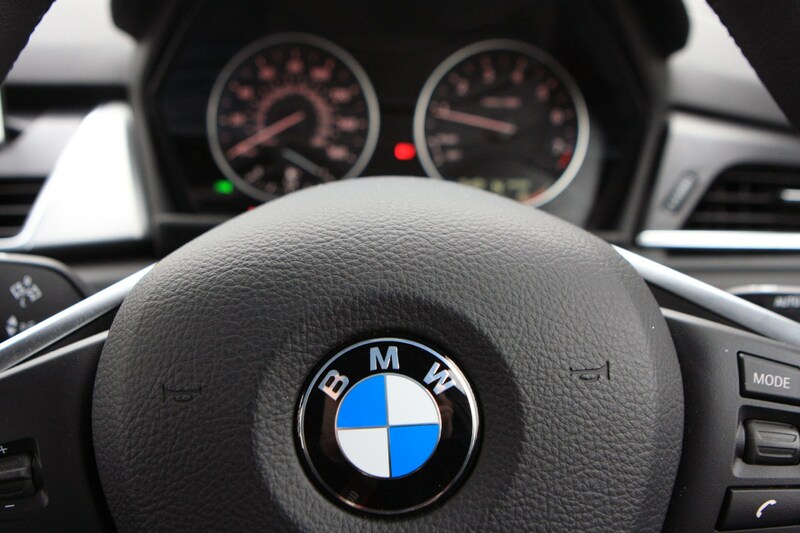 And should the worst happen, and you have an accident, BMW Emergency Call will automatically contact you and inform the local emergency services if any of the car’s airbags are deployed. 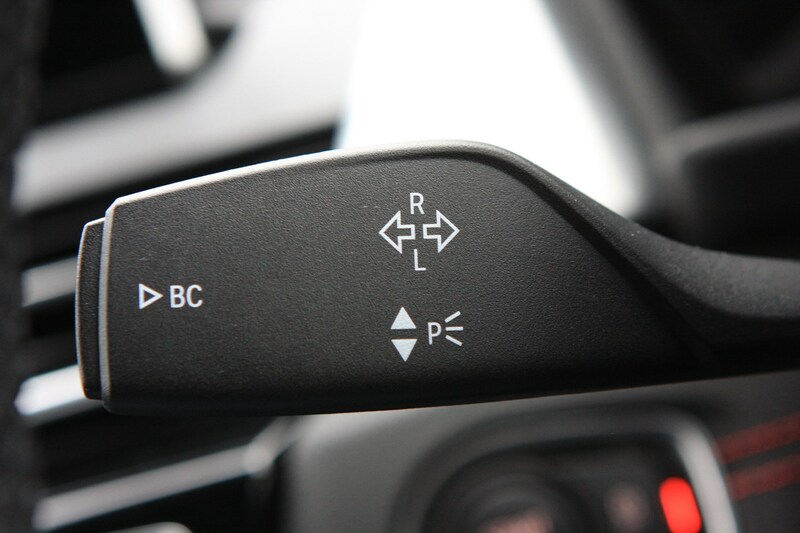 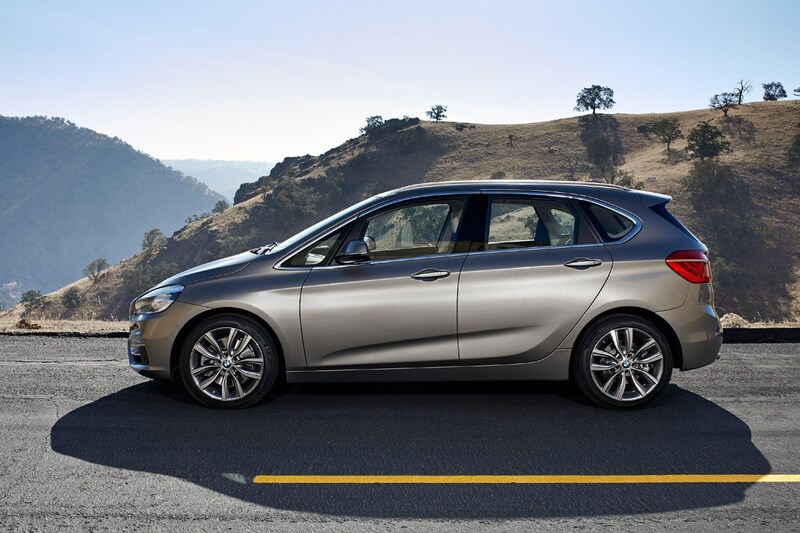 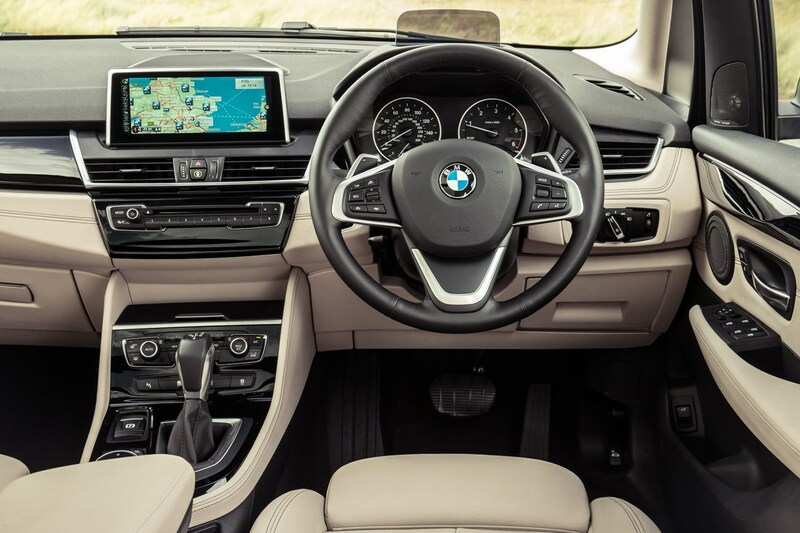 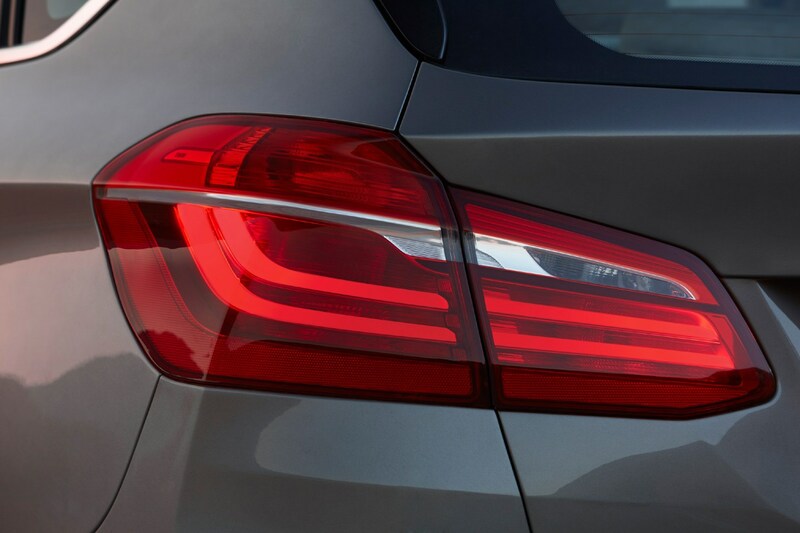 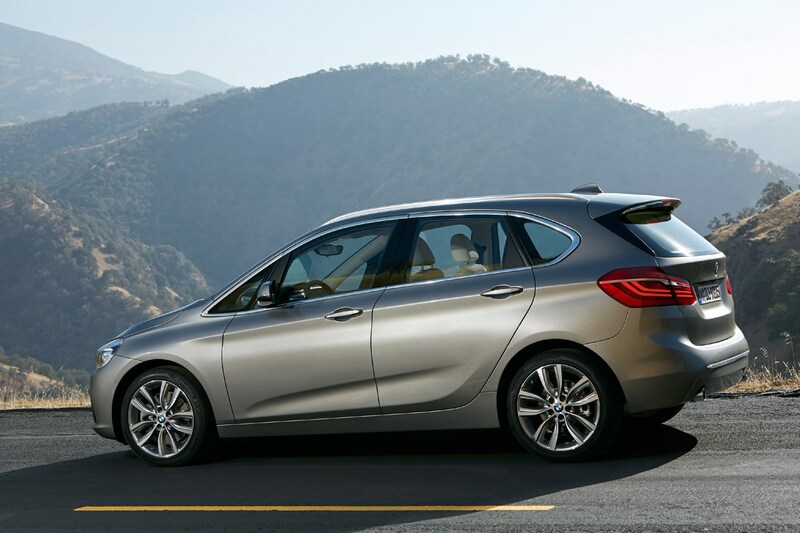 A raft of Connected Drive options further increase the 2 Series Active Tourer’s safety, with Adaptive LED headlights, a head-up display and an Active cruise control that will brake when it detects you are closing on the car in front, are all available. 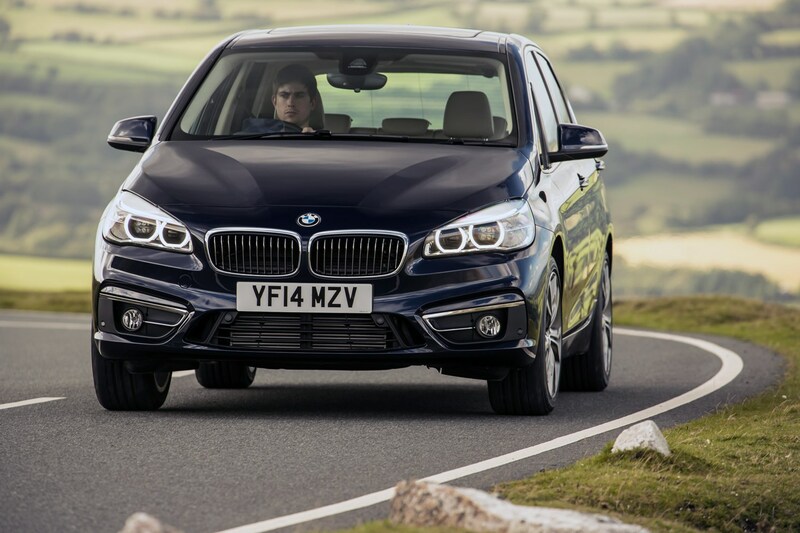 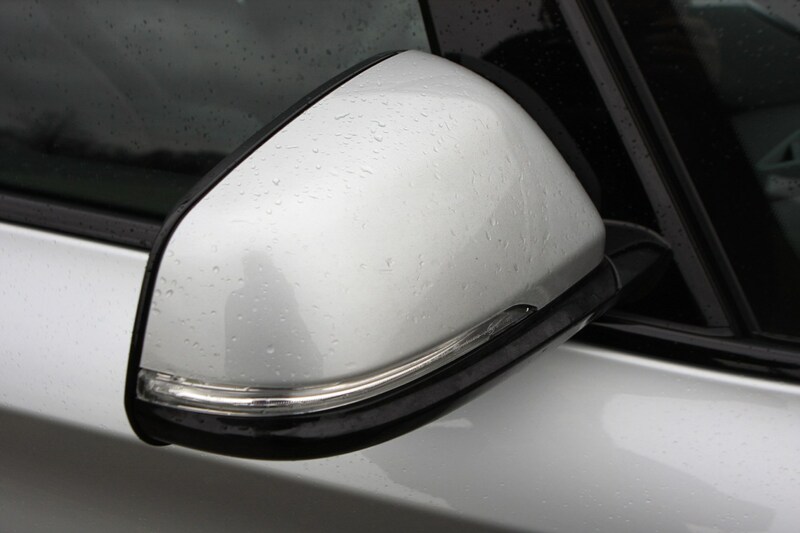 On top of that, Active Guard and Driving Assistant stops you from wandering between lanes as well as detecting objects and pedestrians in your way, warning you of their presence – and if required braking you to a halt. 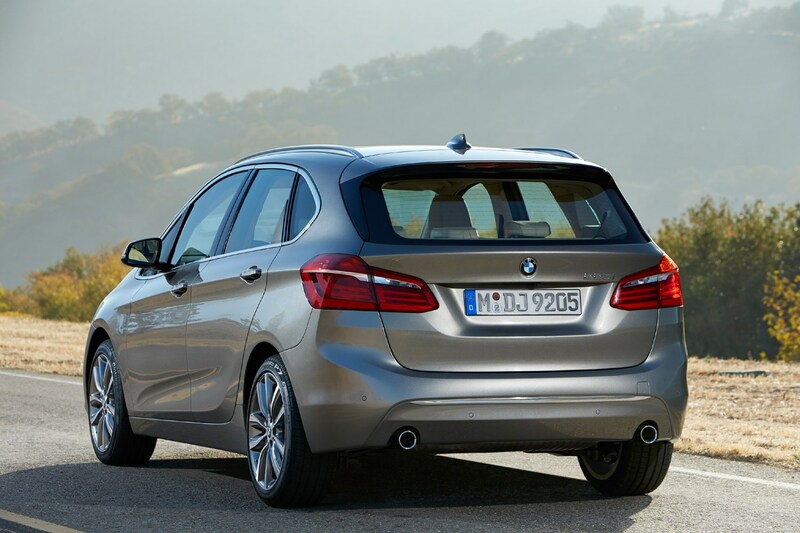 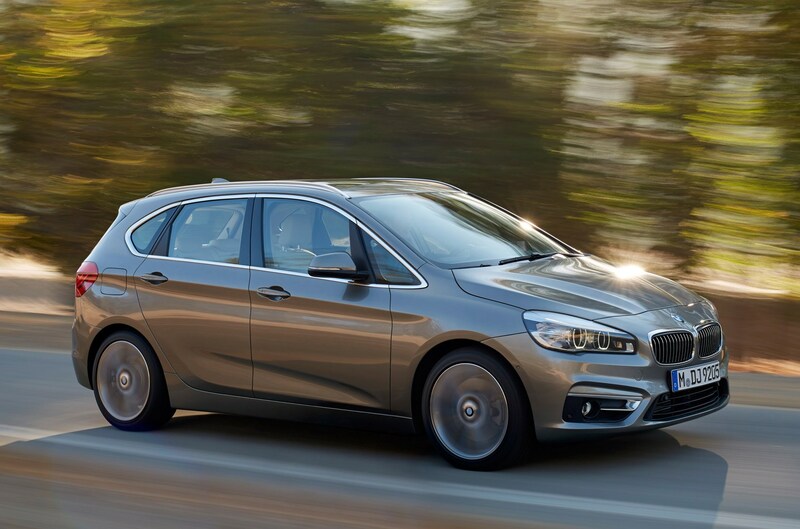 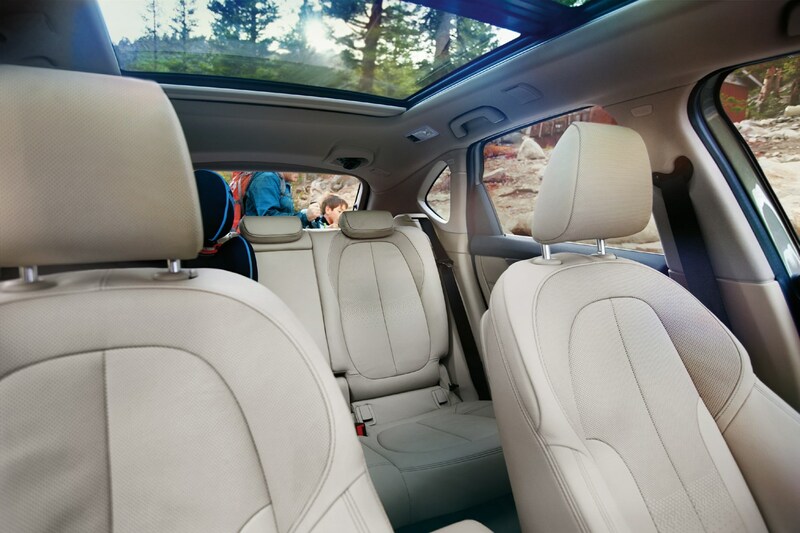 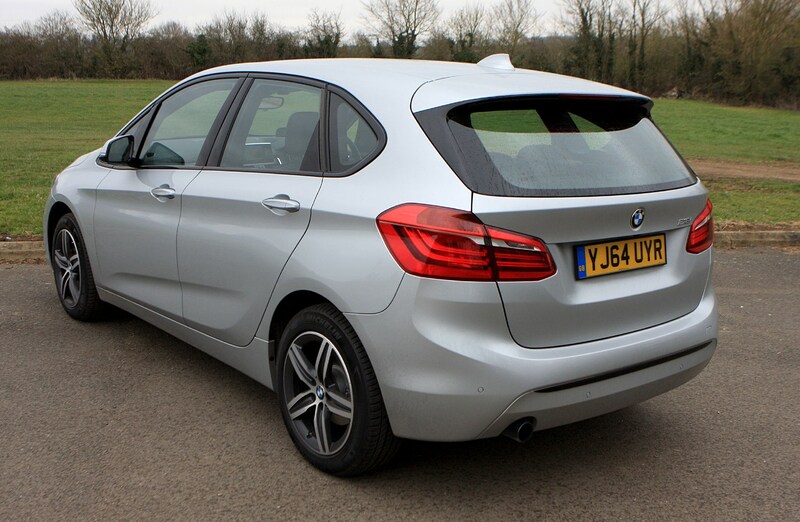 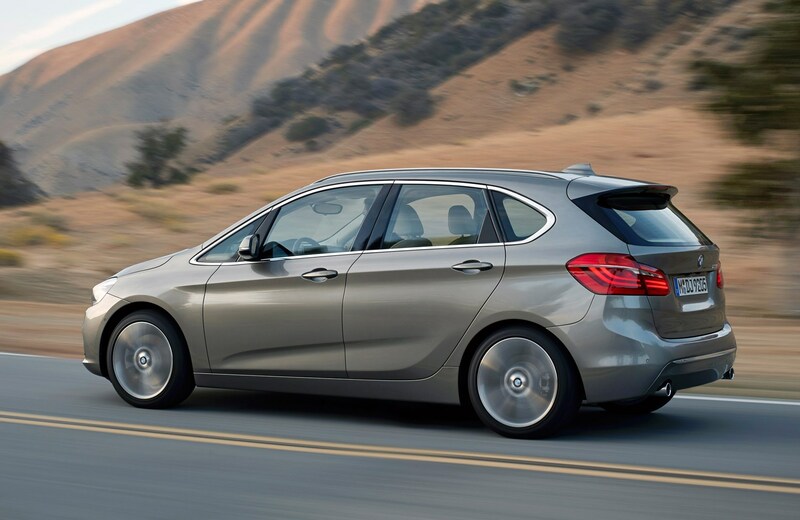 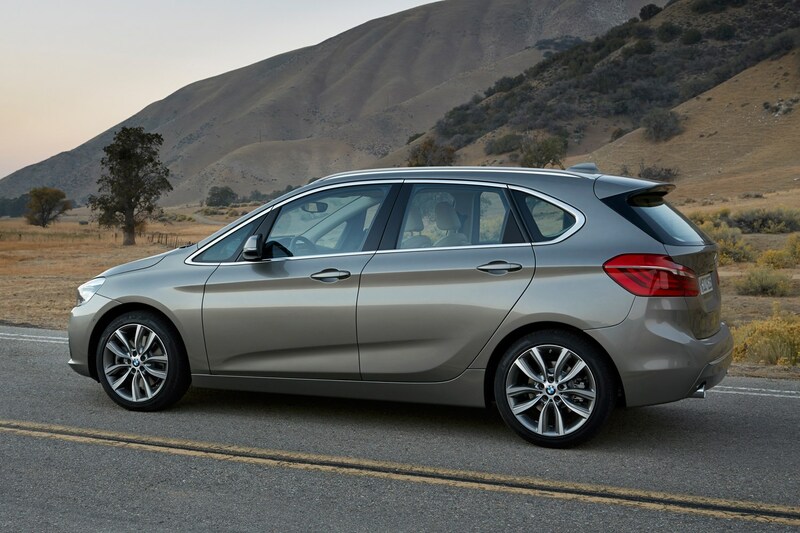 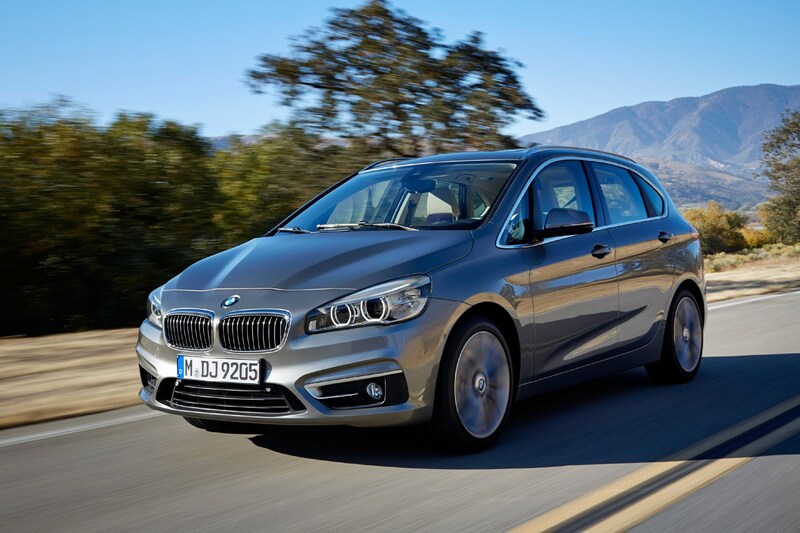 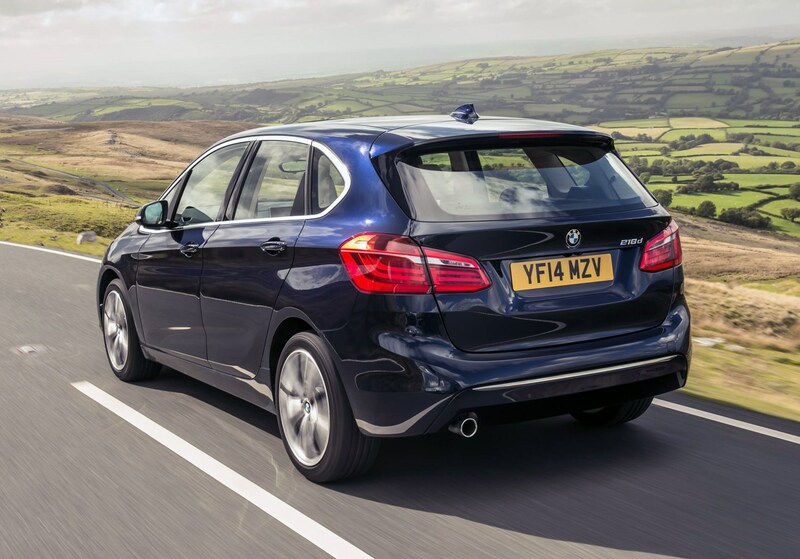 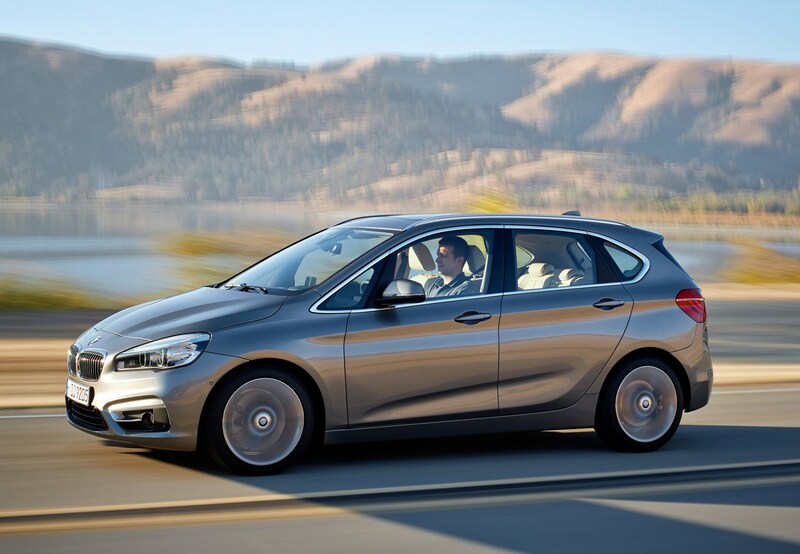 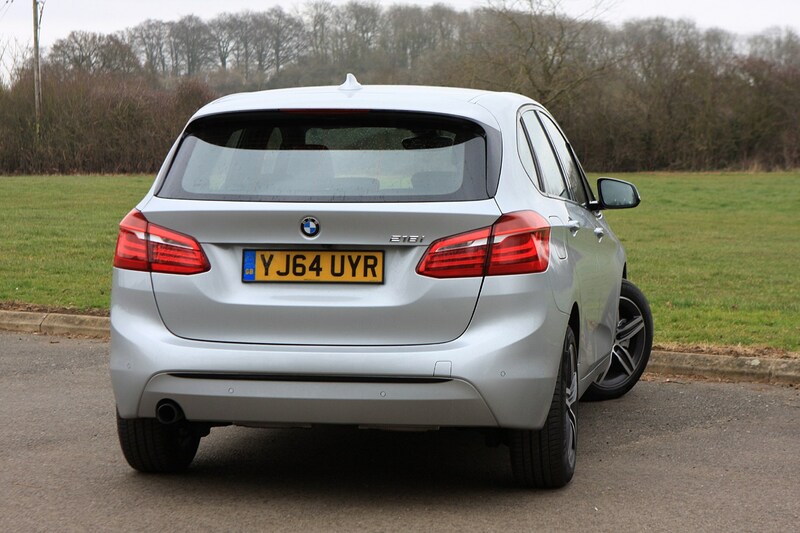 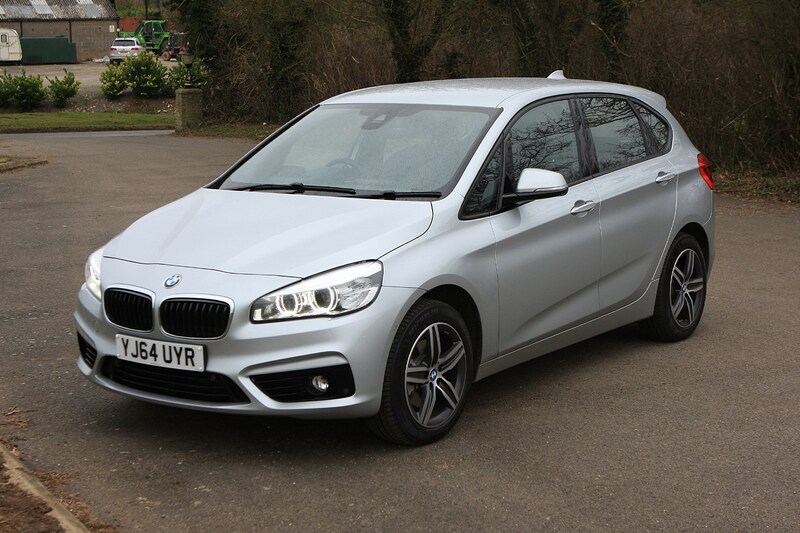 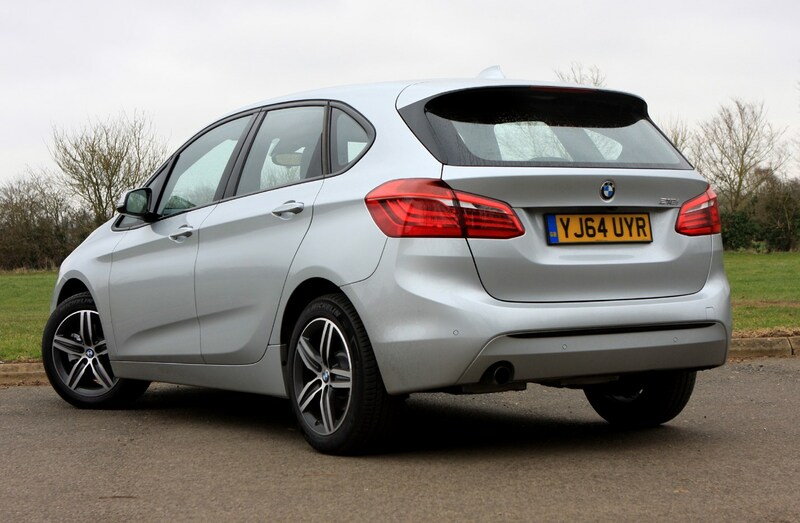 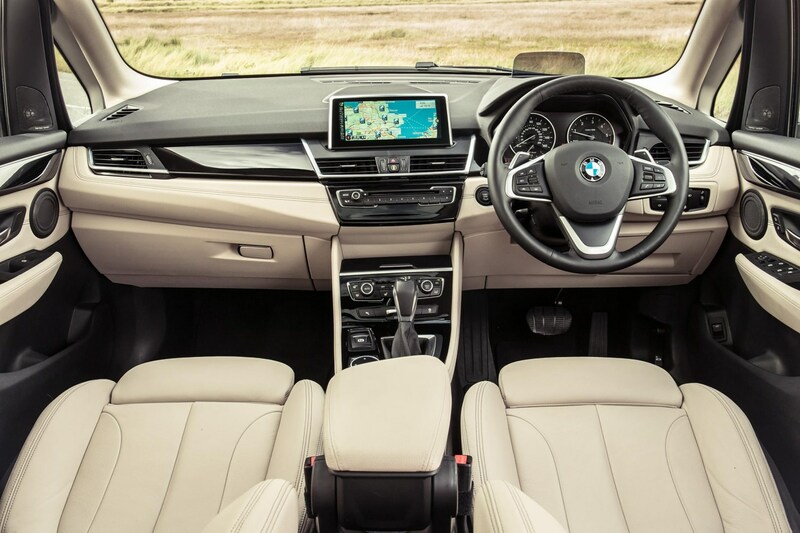 Space is key here, and so BMW 2 Series Active Tourer practicality is one of the highlights of the entire package. 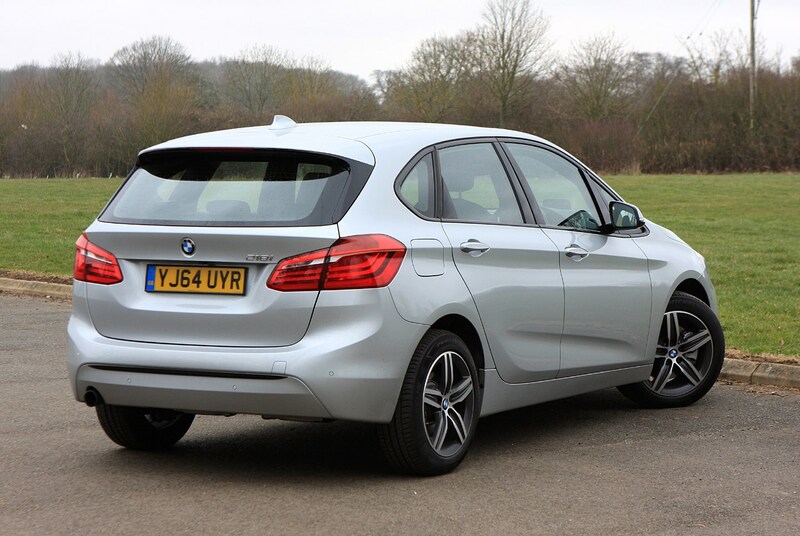 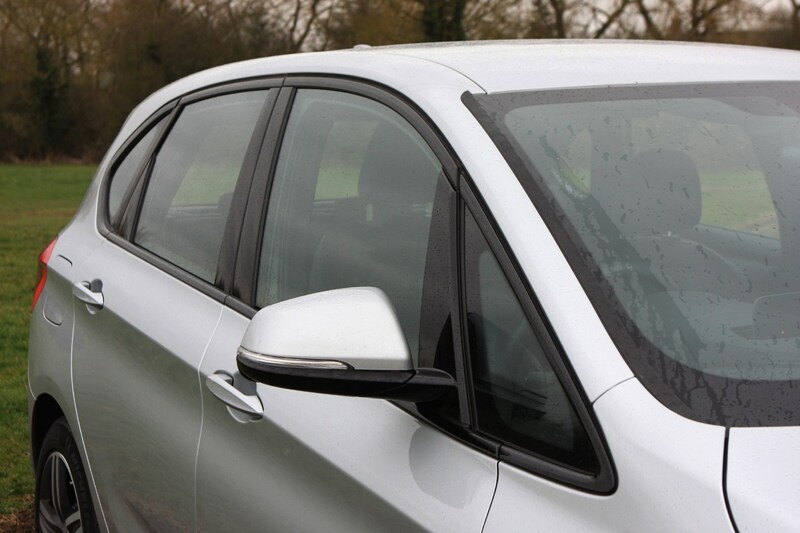 In comparison with the 1 Series Sports Hatch, the compact people carrier is 16mm longer and 25mm wider. 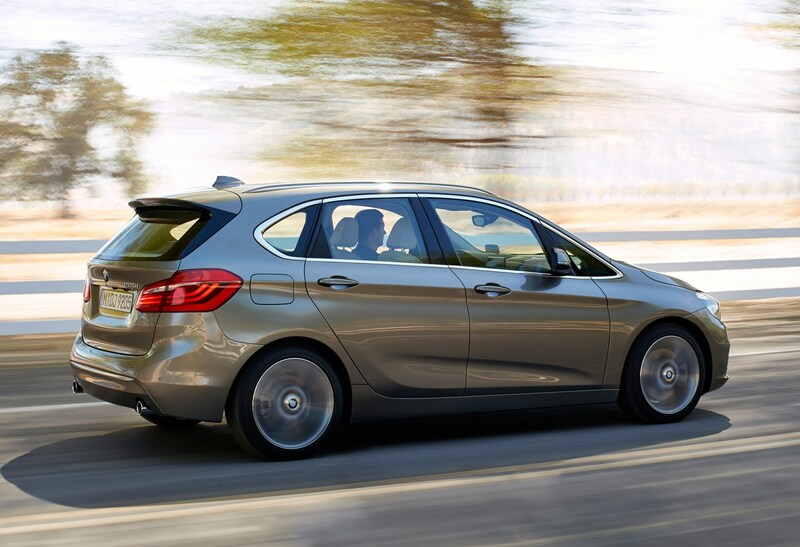 Despite a fractionally shorter wheelbase, the Active Tourer boasts more interior space – with rear legroom comparable to a seven series. 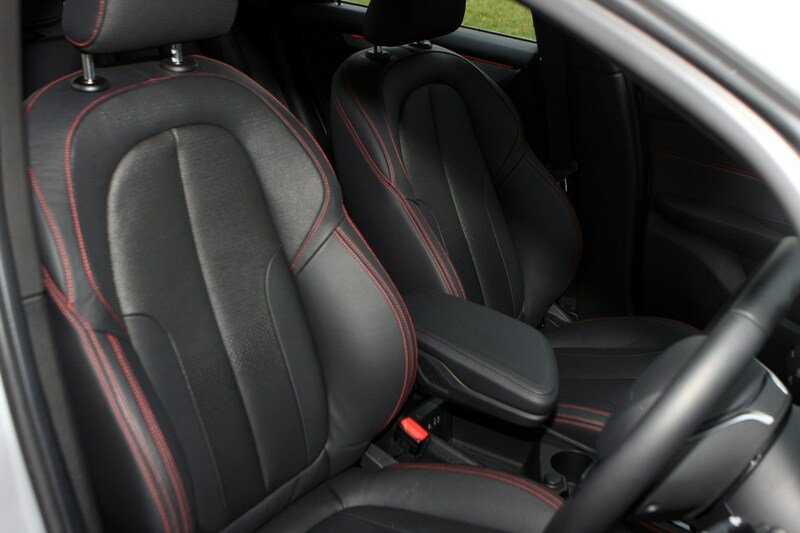 Certainly, it’s no problem for a full sized adult to sit behind another in complete comfort. 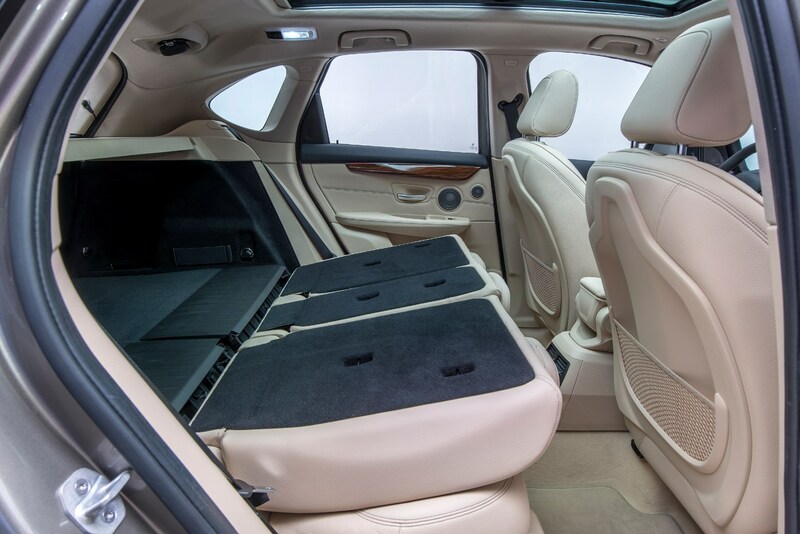 That rear bench can slide forward or backwards too, varying the mixture between boot and passenger space as required, though there’s no full-removal option. 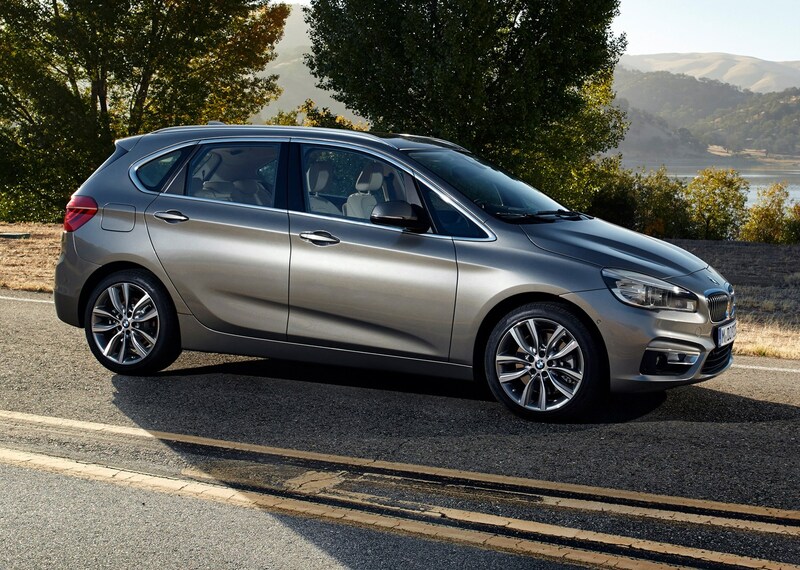 The Active Tourer shouldn’t be hugely difficult to park. 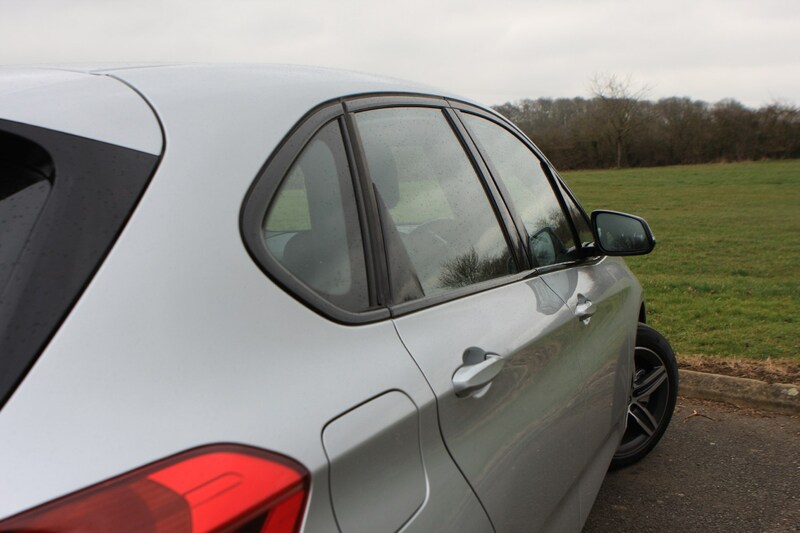 Its footprint is the size of a medium hatchback but thanks to the tall body the driver has great visibility as the windows are so big. 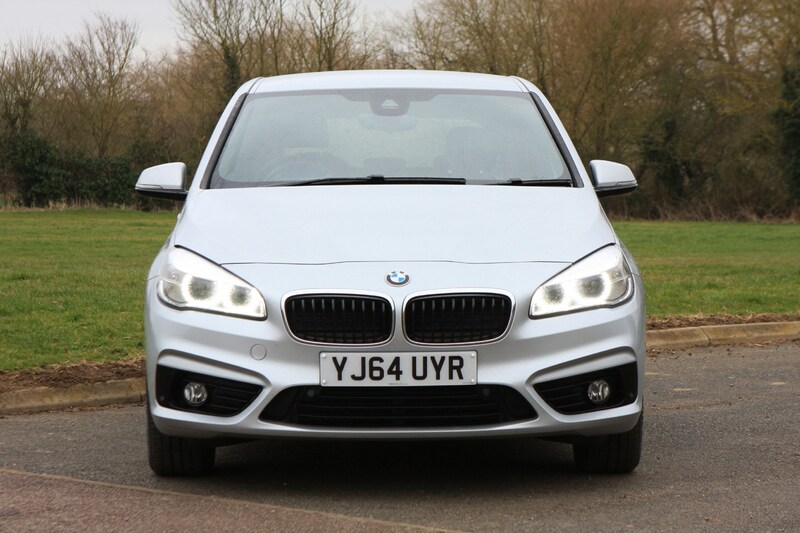 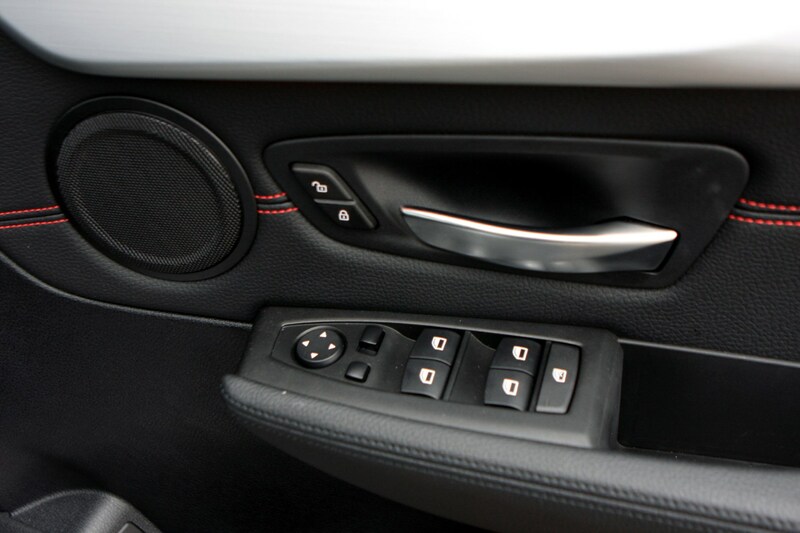 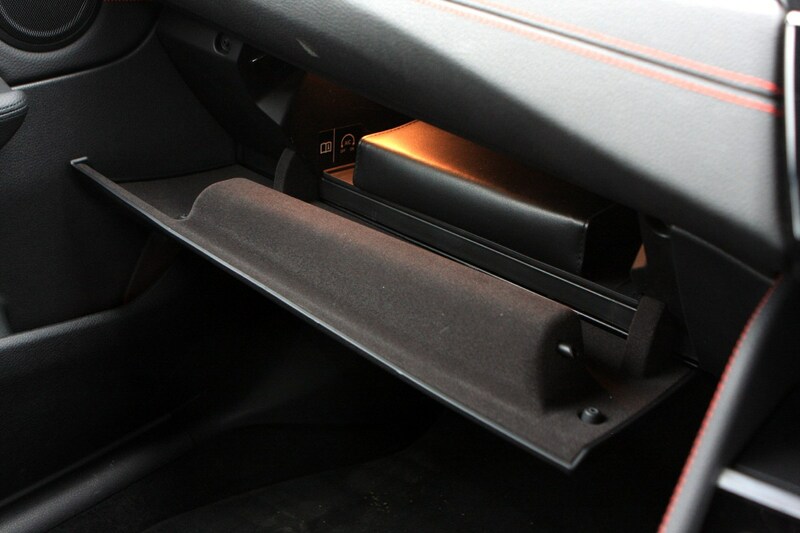 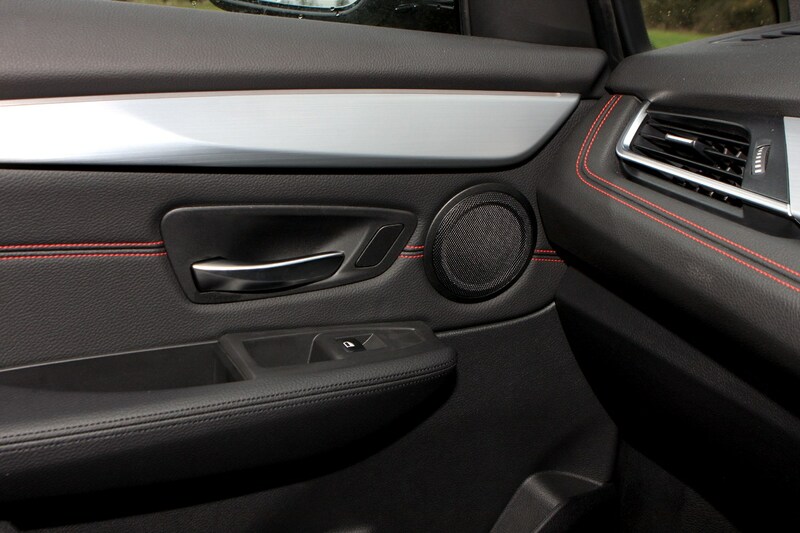 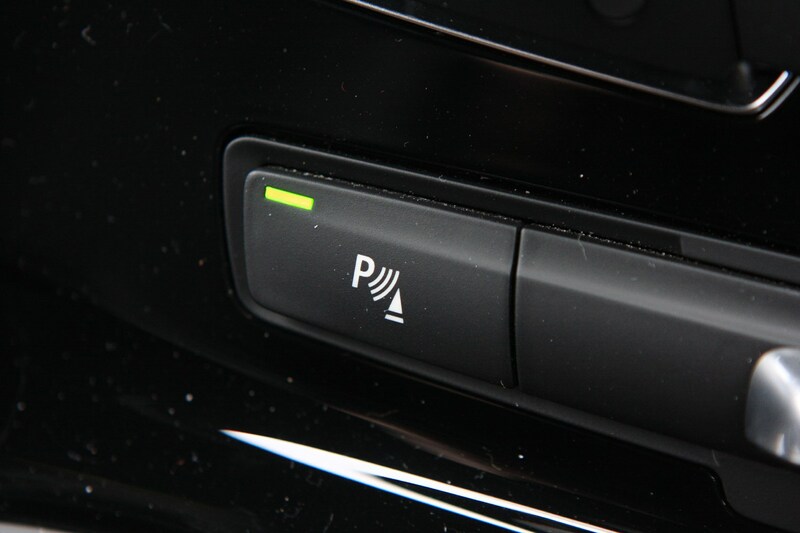 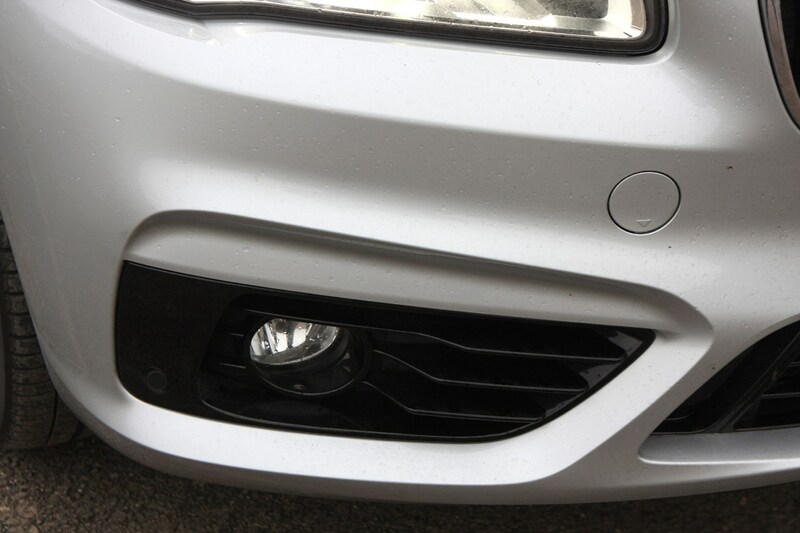 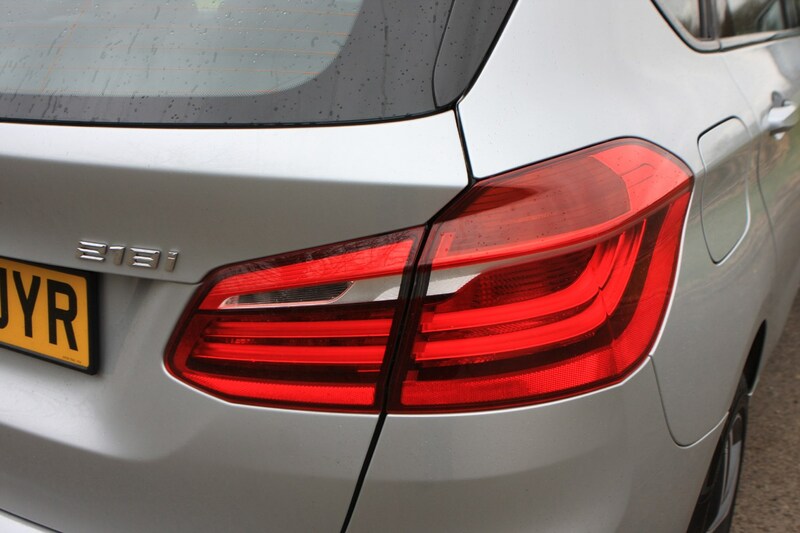 Depending on specification you can have rear acoustic sensors, a camera or an automatic parking system to help this 2 Series slot into your garage. 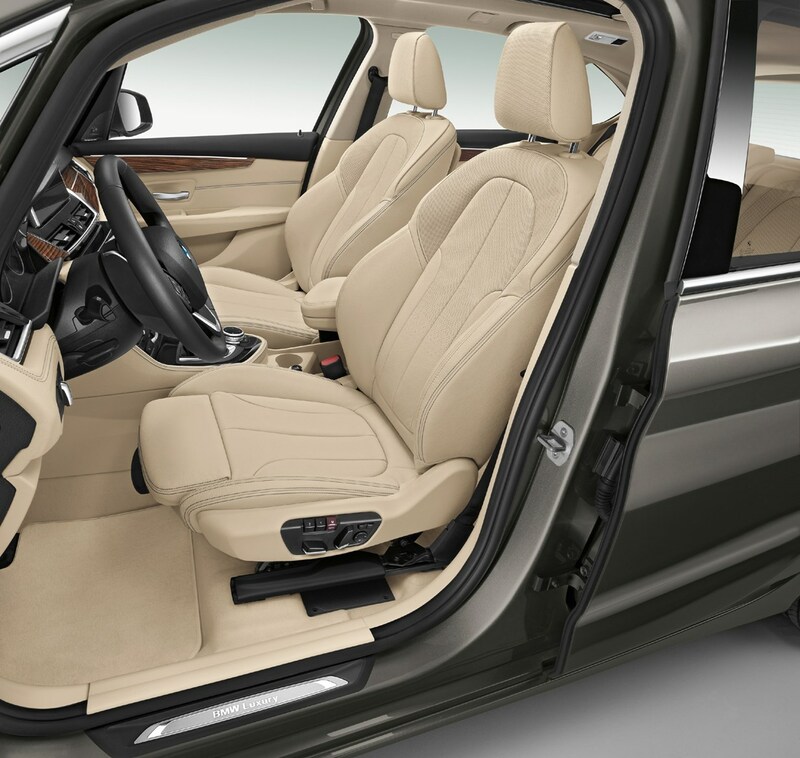 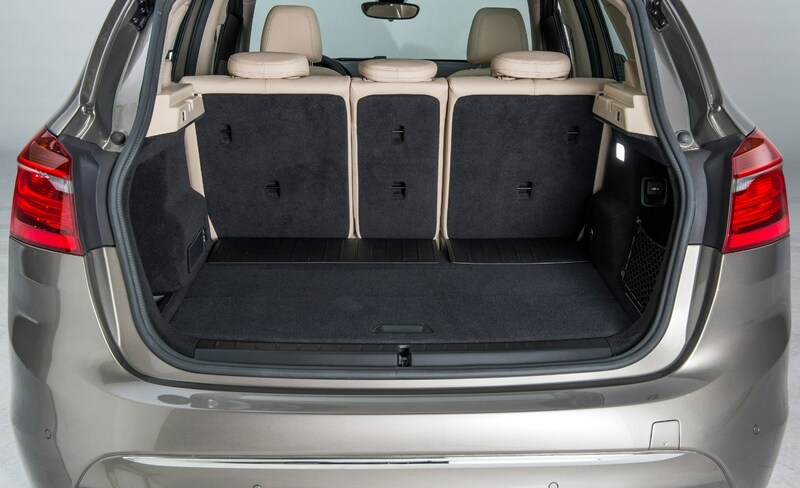 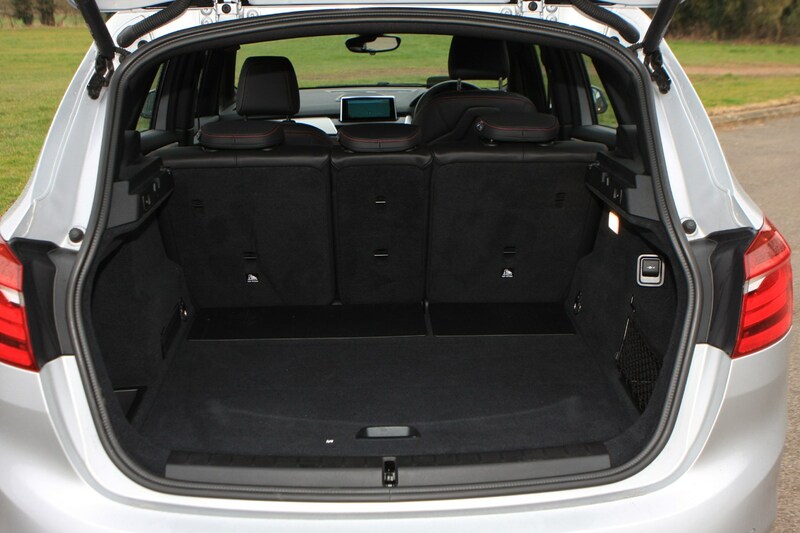 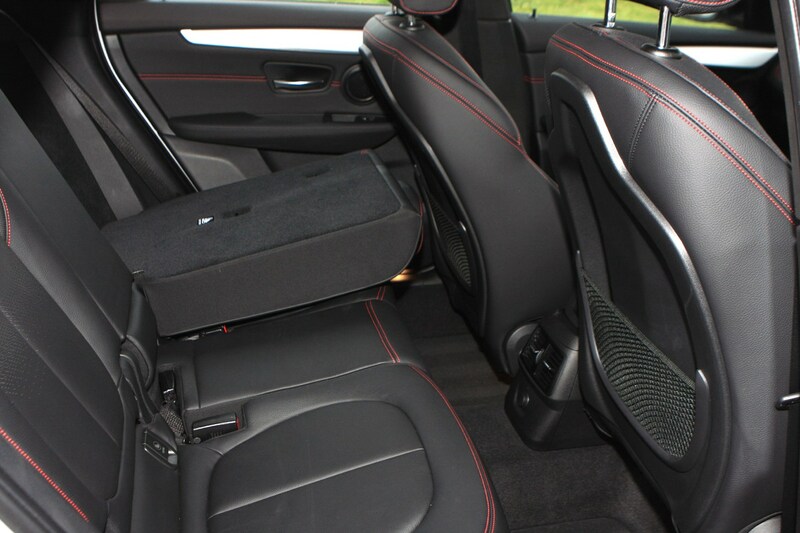 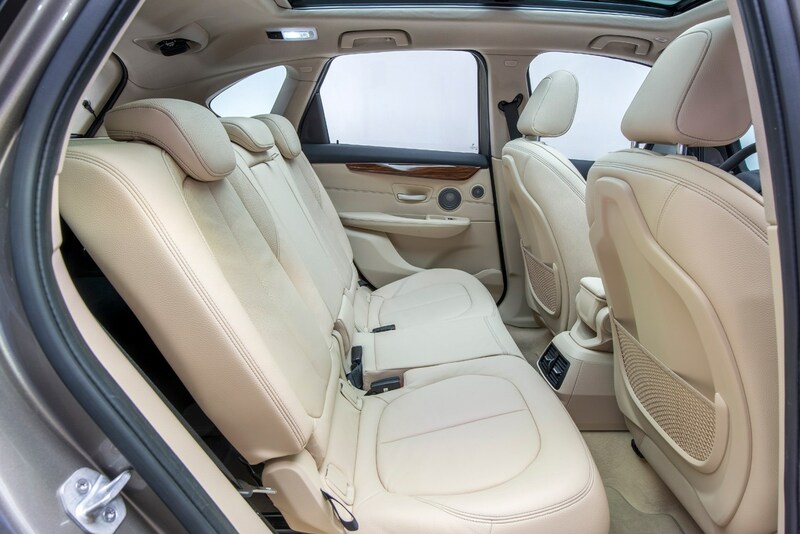 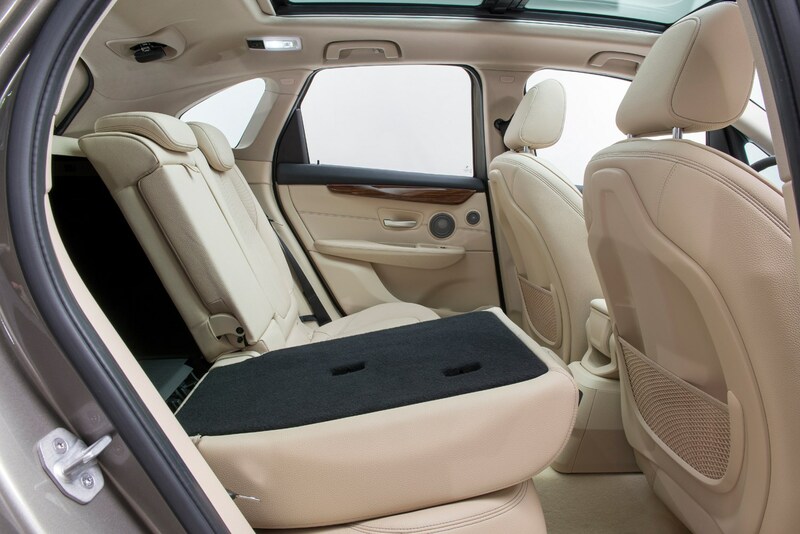 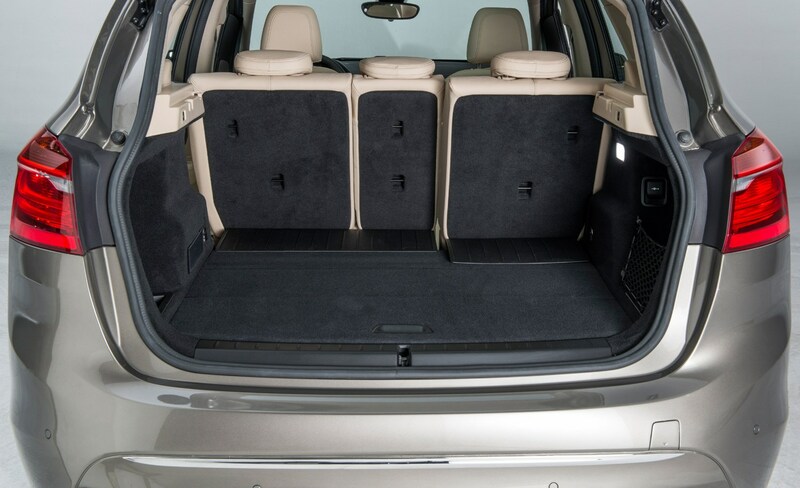 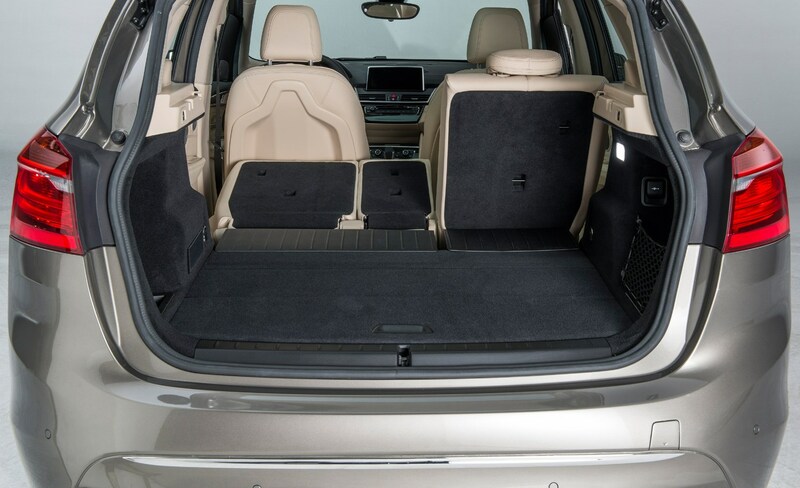 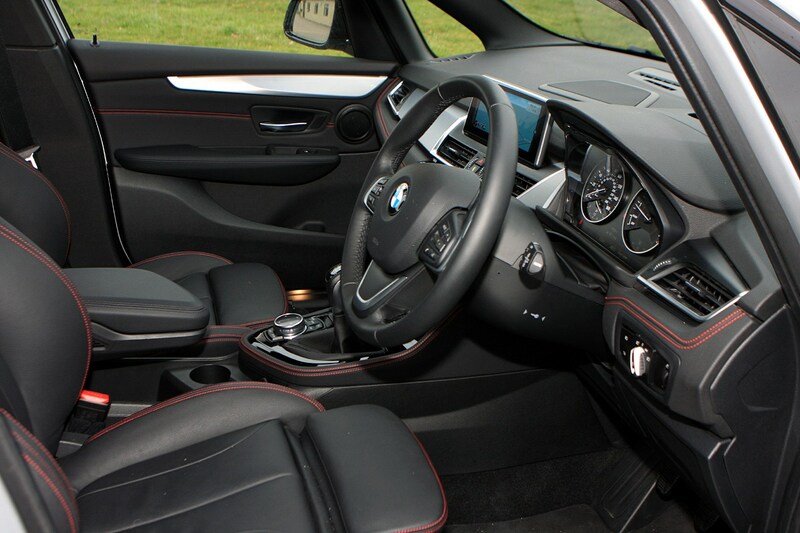 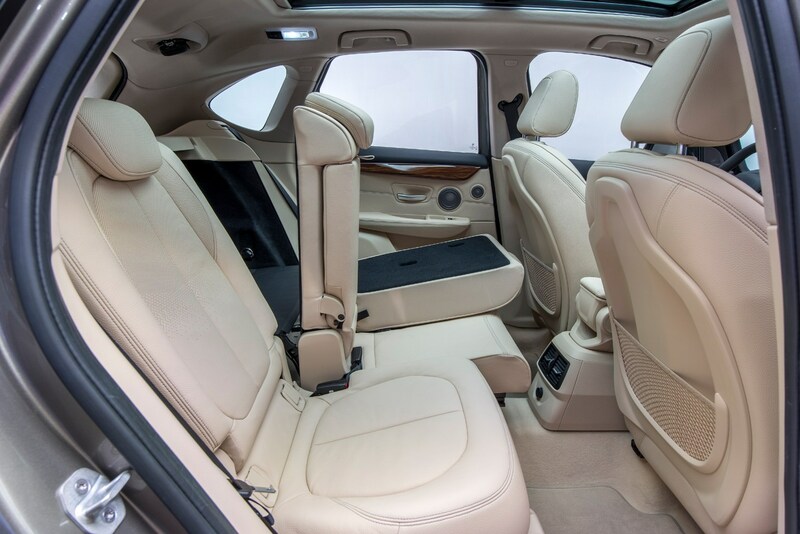 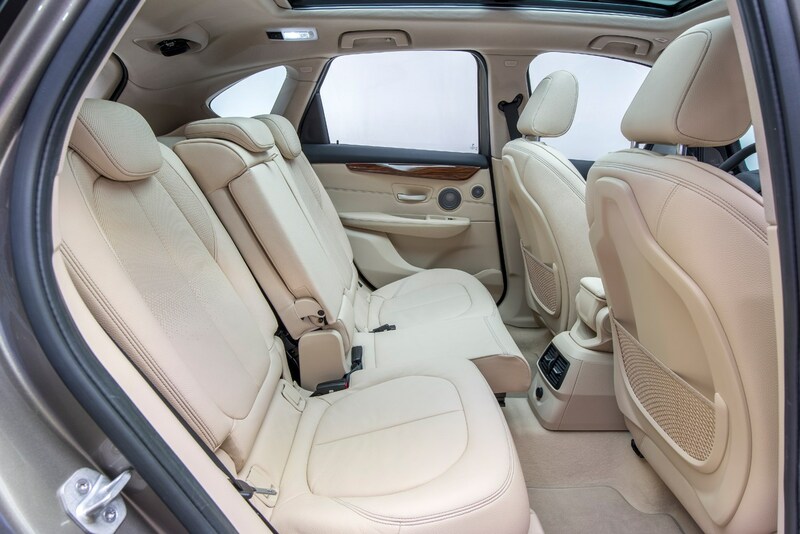 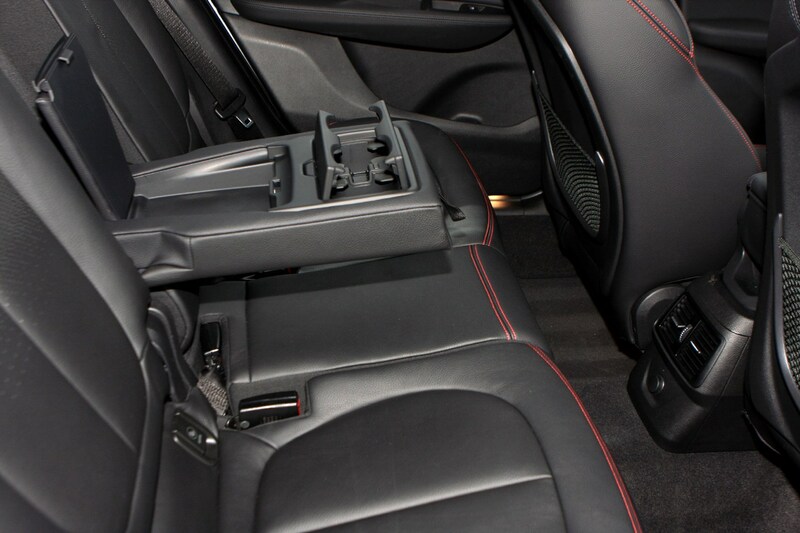 With the rear seats (electrically) folded flat, the load space is similar to that of the firm’s 3 Series Touring. 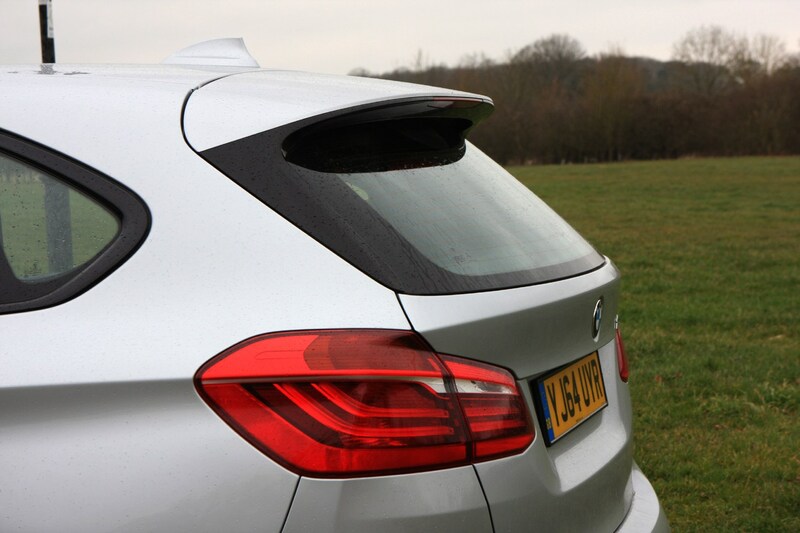 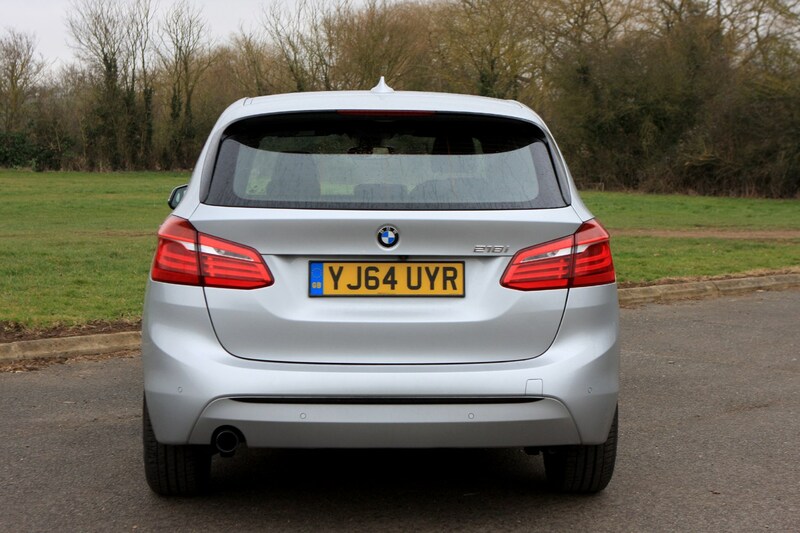 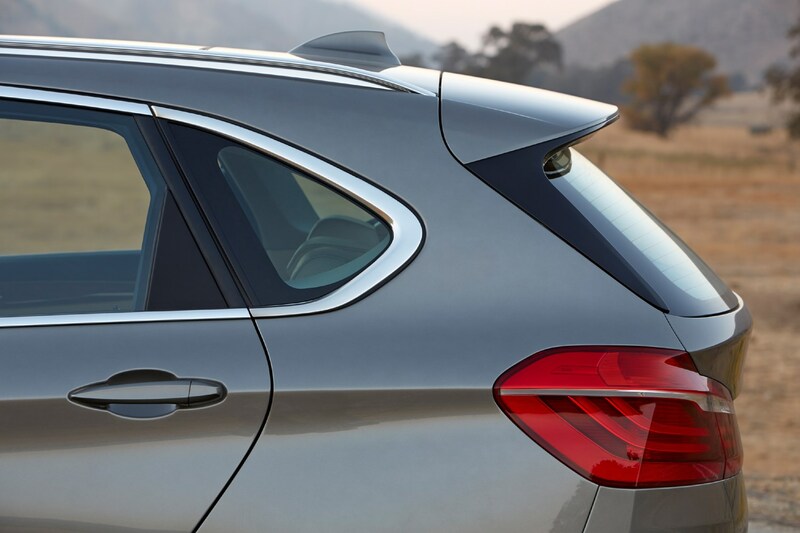 The 2 Series Active Tourer sports a particularly wide rear tailgate opening too, just to make loading larger items easier. 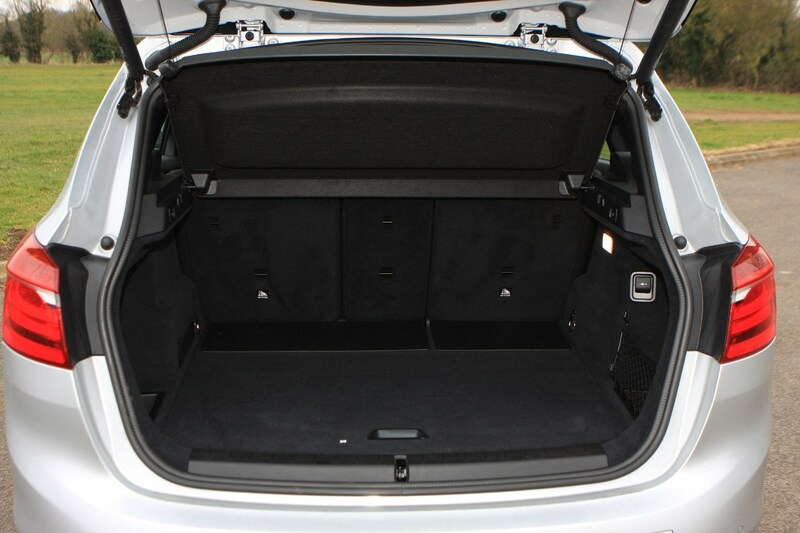 Including the underfloor storage area, there’s up to 468 litres of space available, with 1,510 on offer with the rear seats folded. 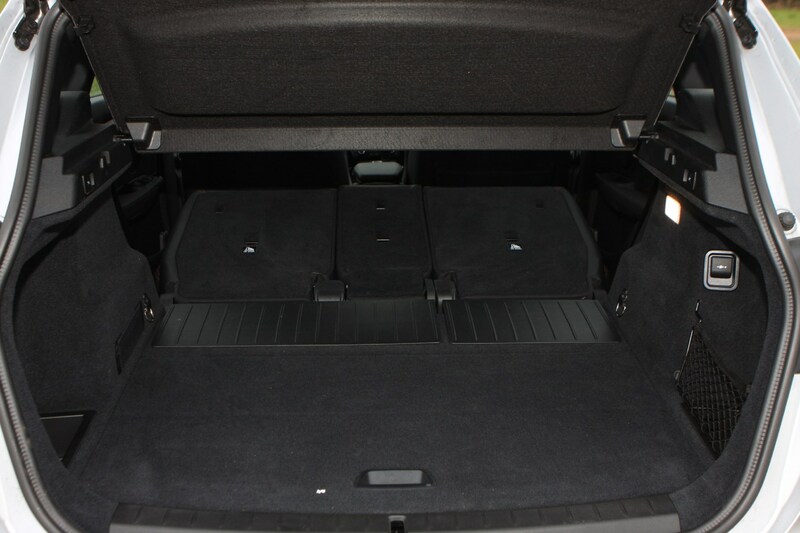 It’s worth noting here that 225xe plug-in hybrid buyers will lose a bit of room thanks to the batteries located under the boot floor, so capacity drops to 400 and 1,350 litres respectively. 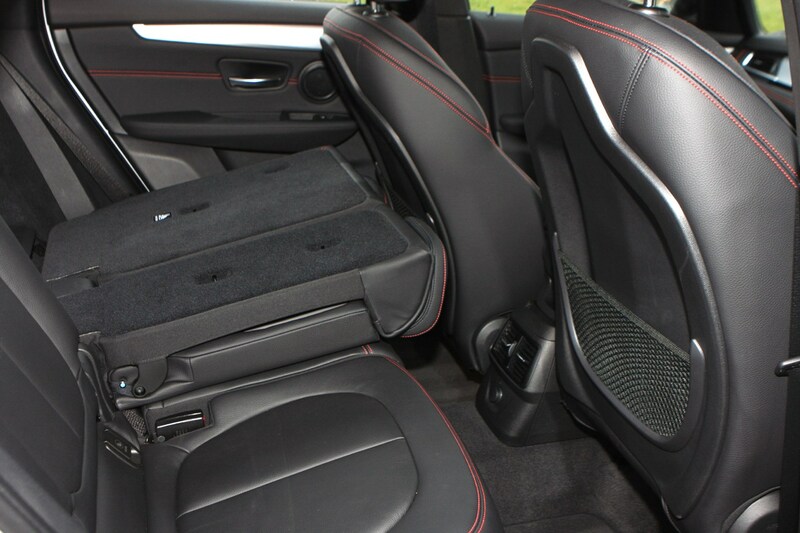 If you’ve got longer items to carry, then the optional folding front passenger seat is a worthwhile option, while as standard the rear bench splits in a 40:20:40 configuration. 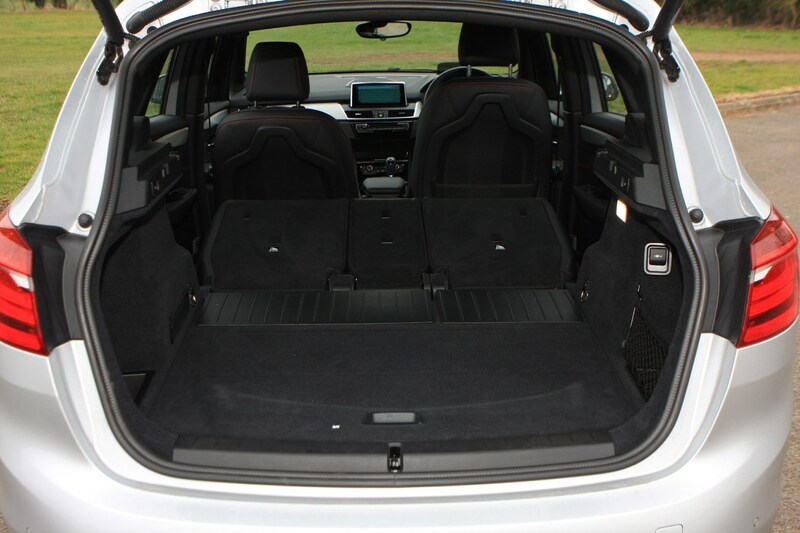 Check the table below to see how the BMW 2-Series Active Tourer compares to other similar cars in terms of available boot space.